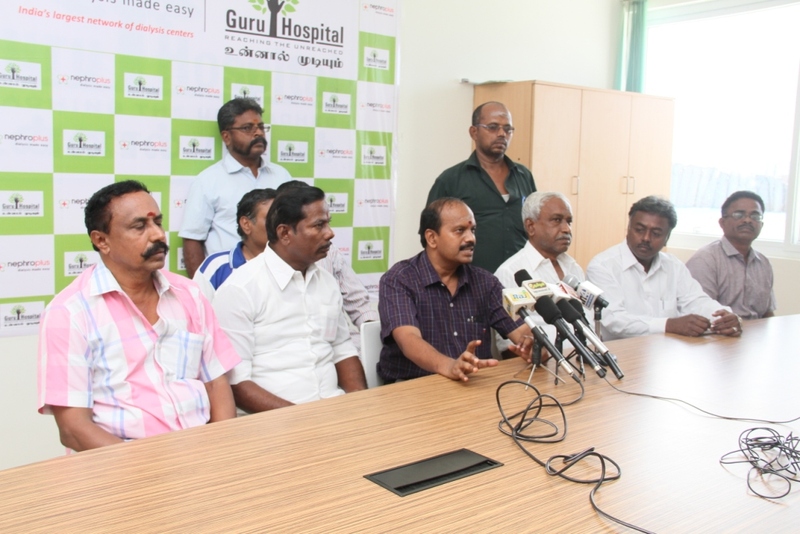 Guru cancer hospital celebrates cancer survivor’s (those who completed treatment successfully @ Guru hospital) get together on 06-10-2017 at our hospital. 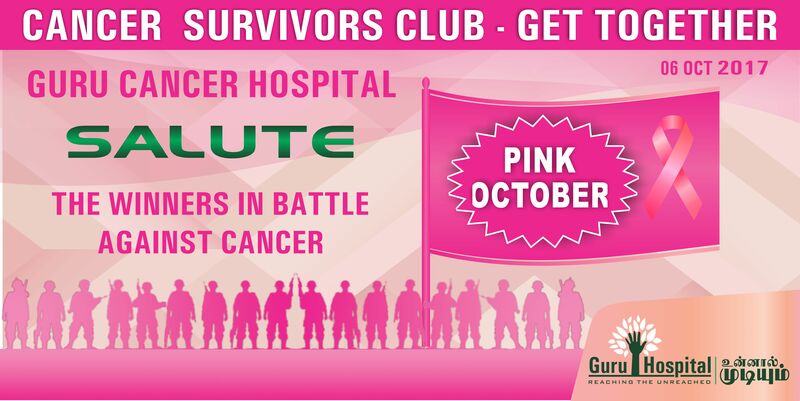 Every Year October month is celebrated as Breast cancer awareness month. 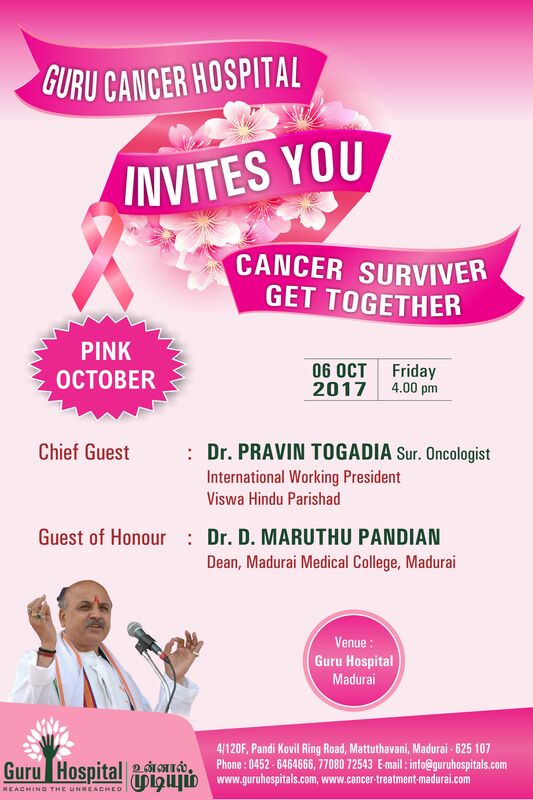 It is called Pink October. 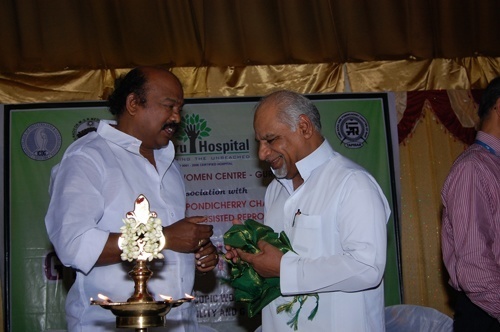 Dr.PRAVIN TOGADIA CANCER SURGEON and INTERNATIONAL WORKING PRESIDENT VISWA HINDU PARISHAD, participated as chief guest and given speech.Aim of this function is to create the confidence among the cancer patients. 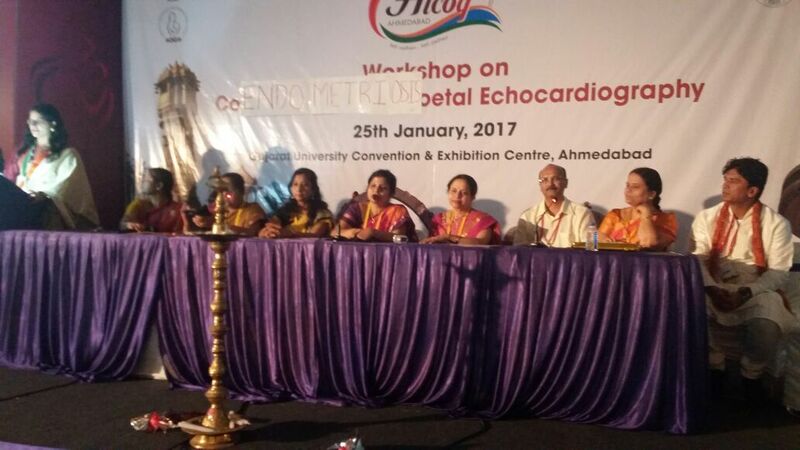 Panalist in a panel discussion on Endometriosis in AICOG ( All India OG Congress) Ahmedabad. 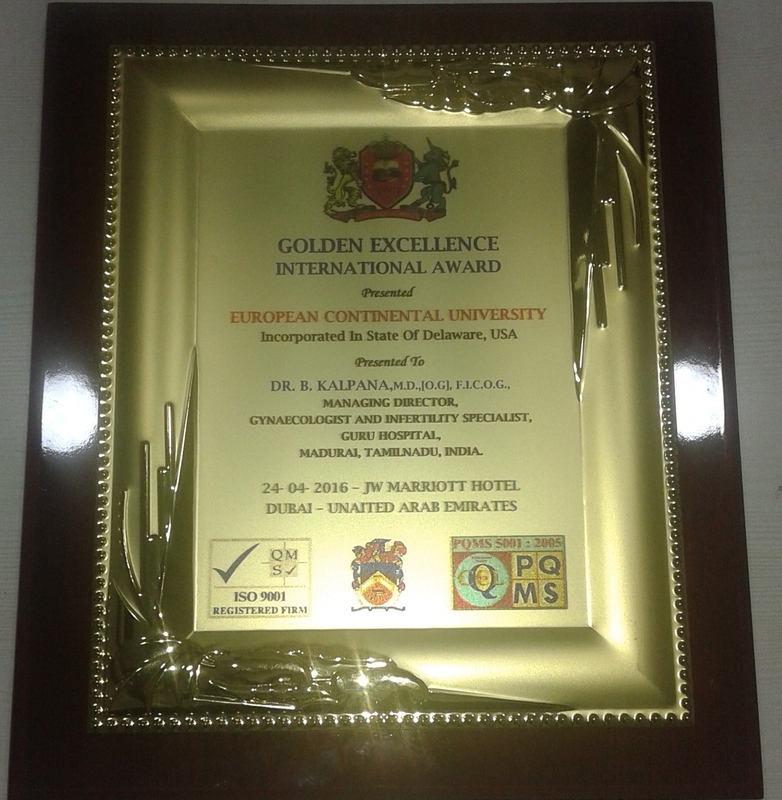 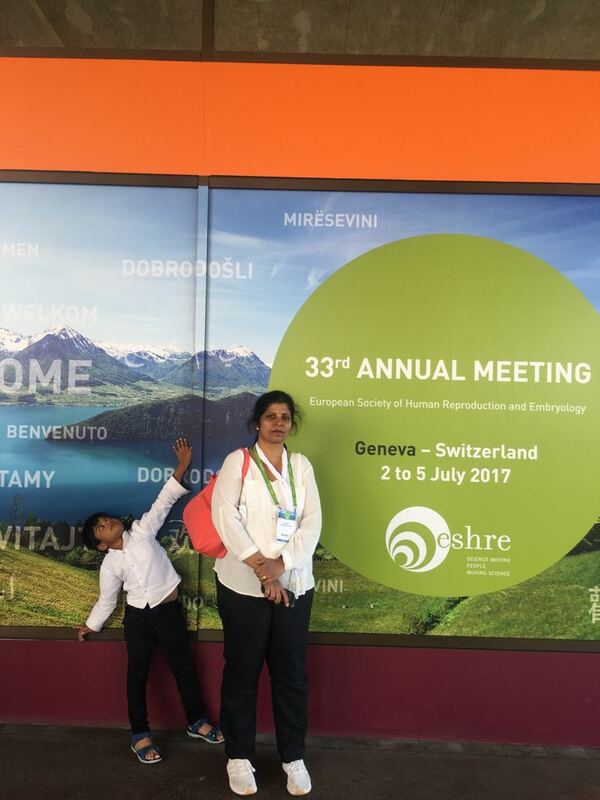 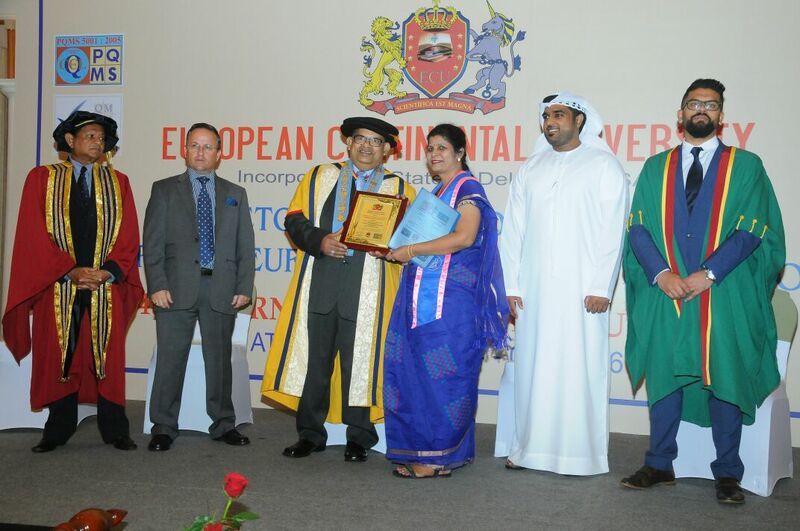 Golden Excellence International Award, presented by European Continental University presented to Dr.B.Kalpana.,M.D(OG).,FICOG. 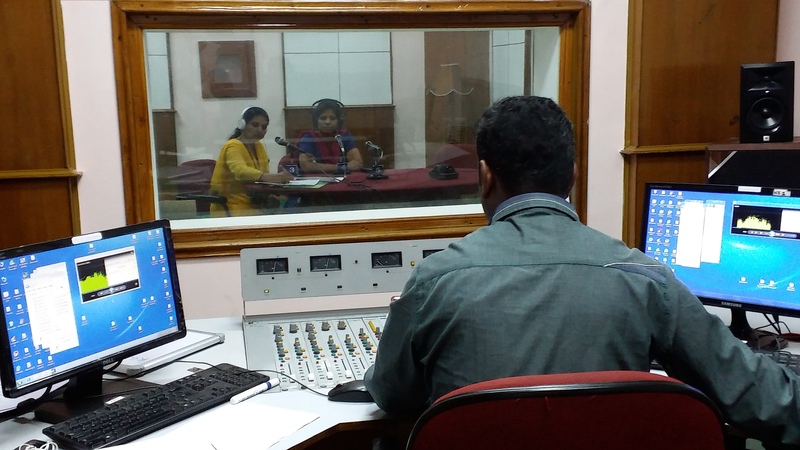 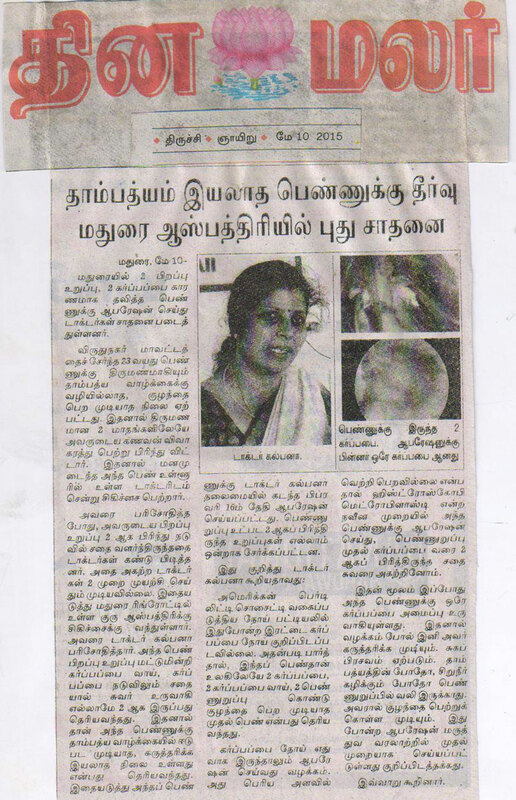 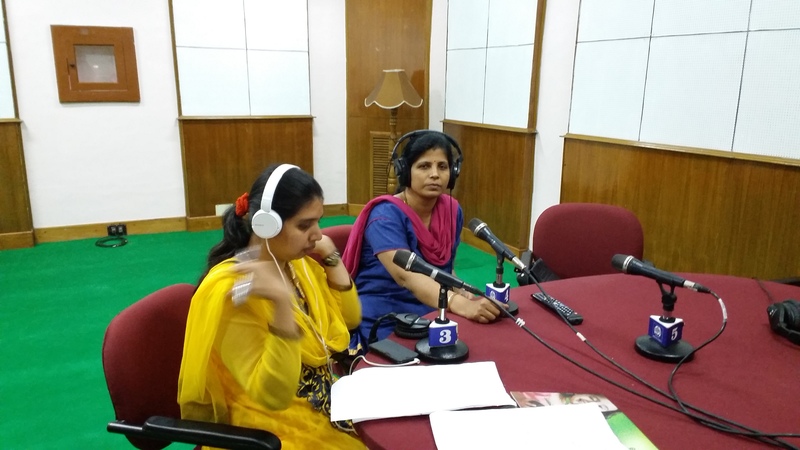 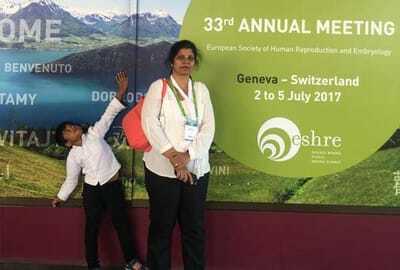 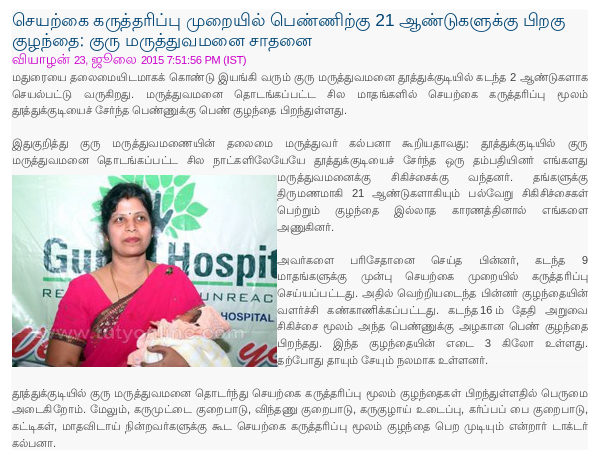 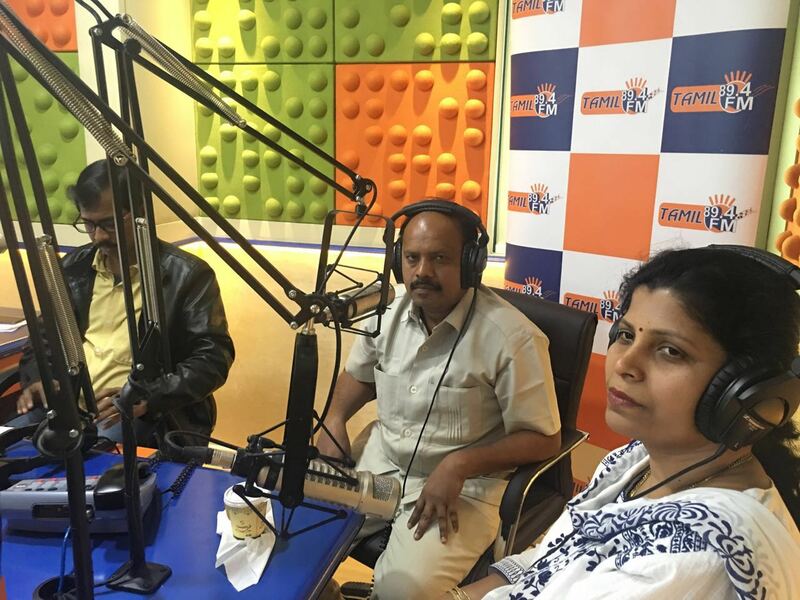 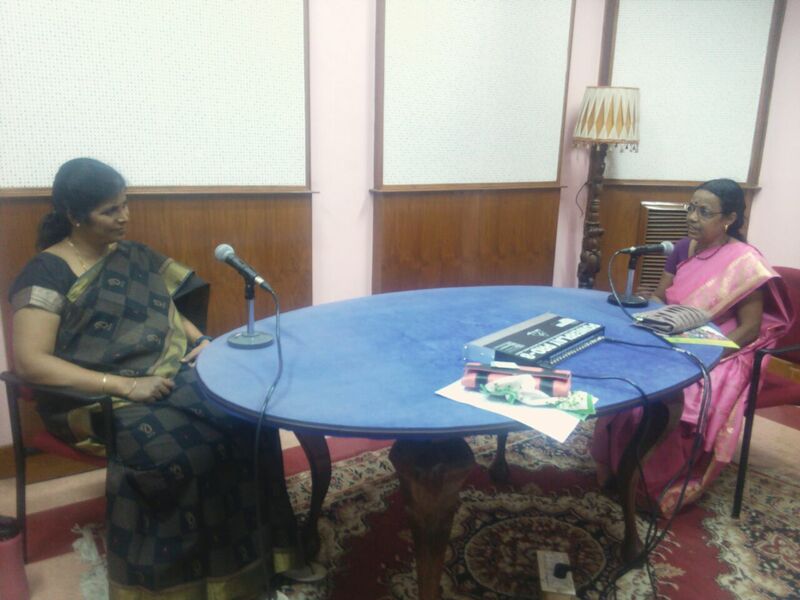 Interview with Dr.B.Kalpana on infertility in Shyamalavani FM, Tuticorin. 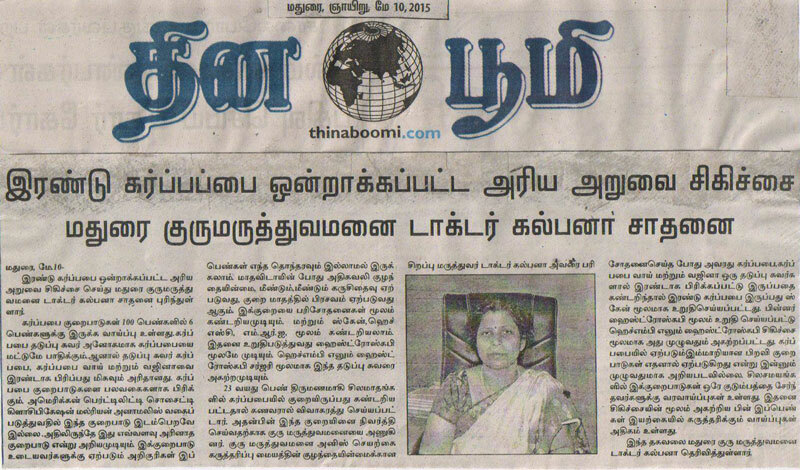 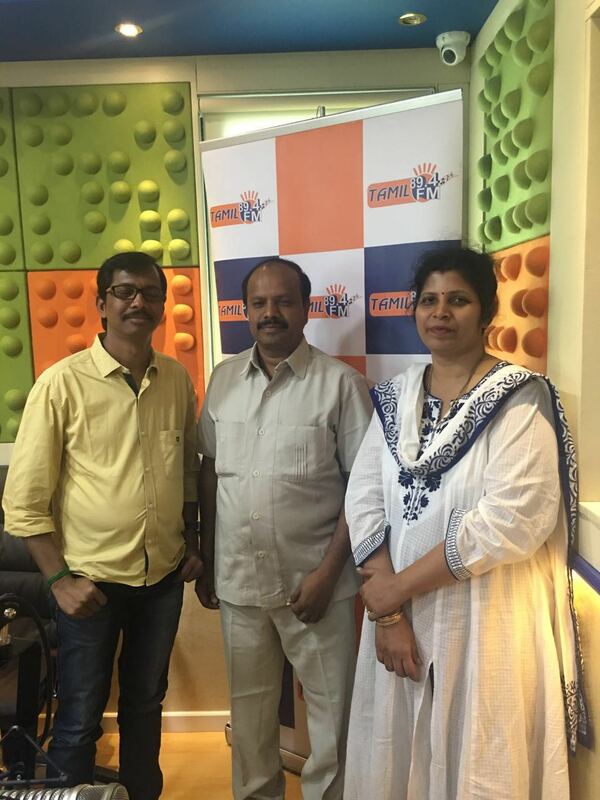 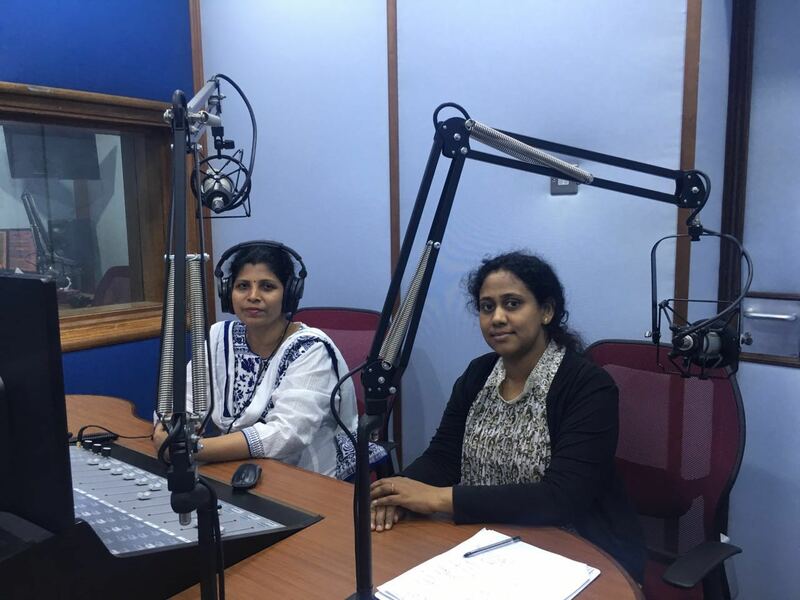 Tamil FM Interview with Dr.B.Kalpana on infertility at Dubai Tamil FM 89.4 on 25.04.2016. 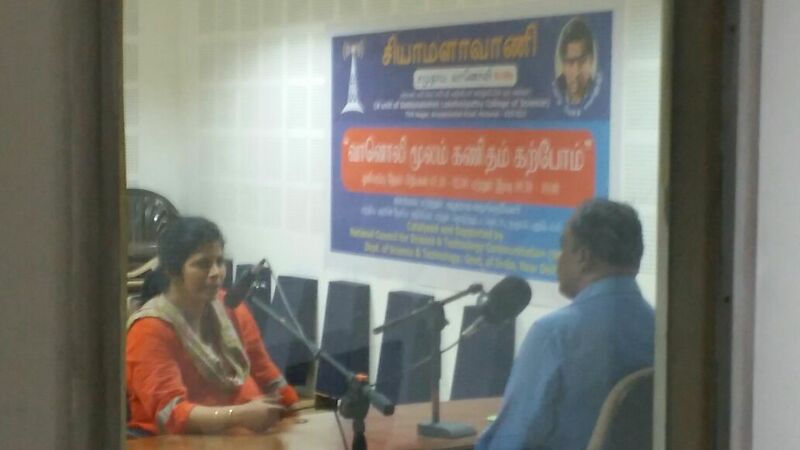 Interview with Dr.B.Kalpana at Suriyan FM Tirunelveli. 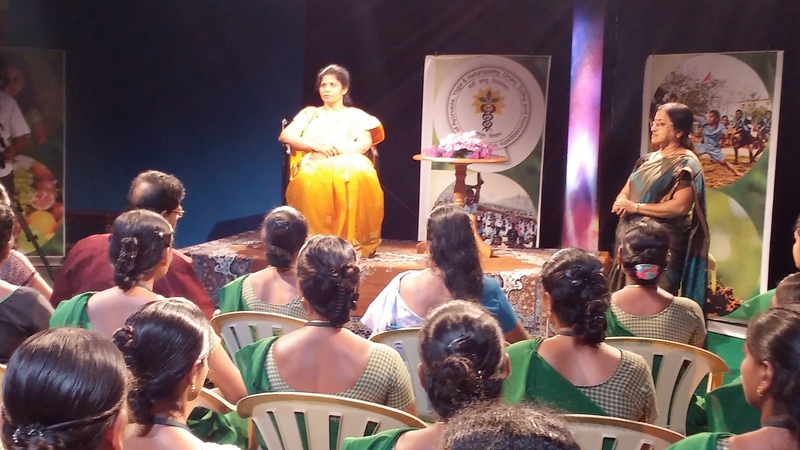 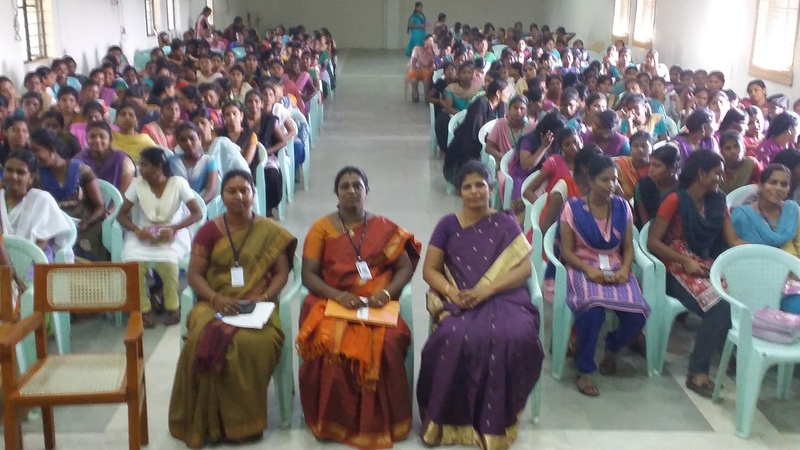 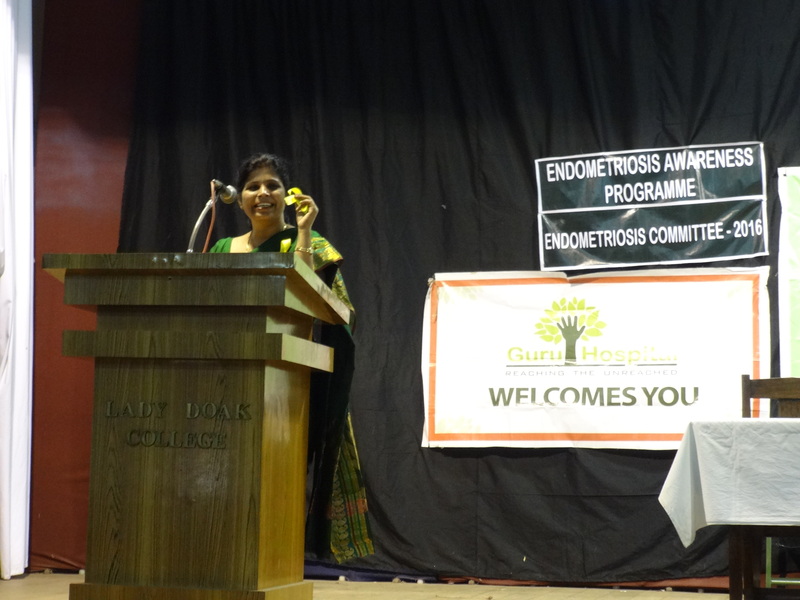 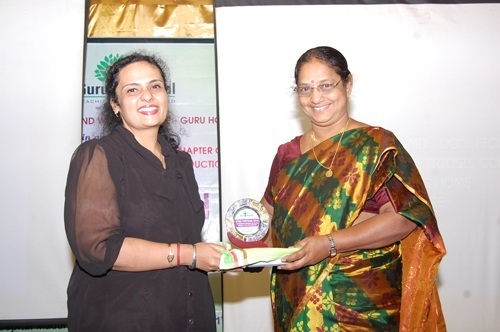 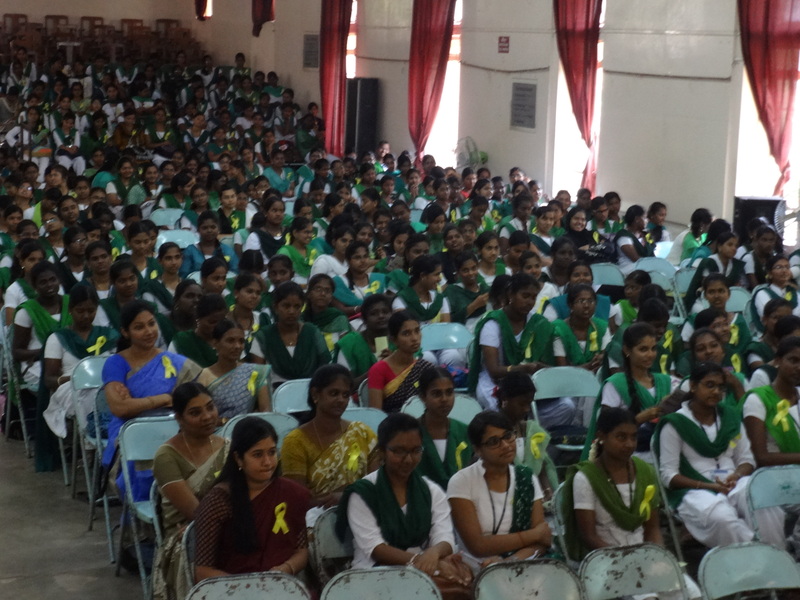 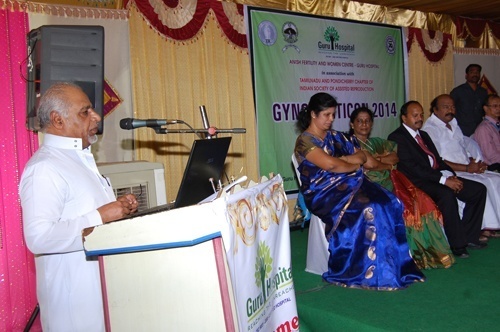 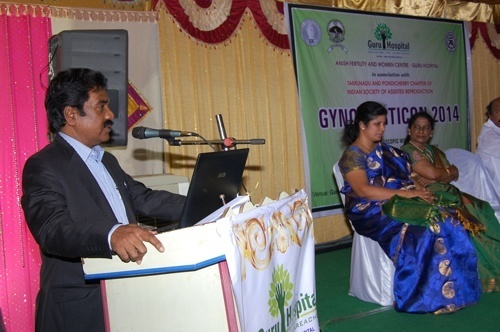 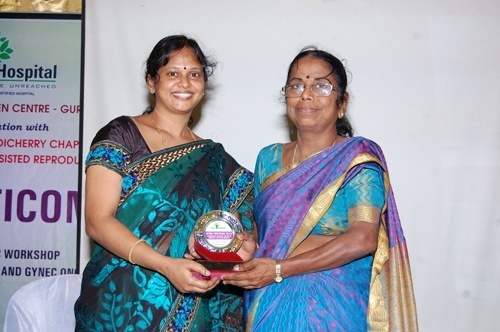 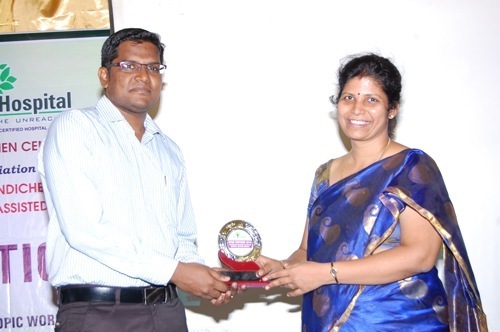 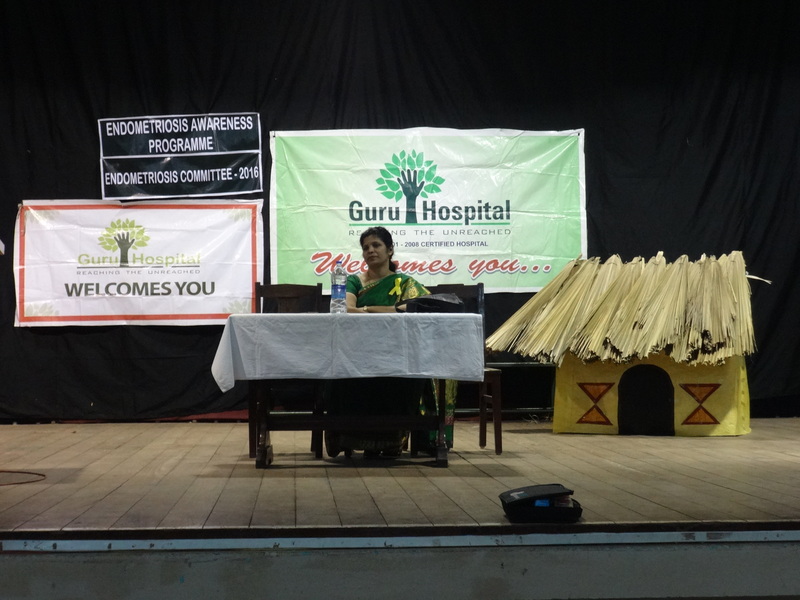 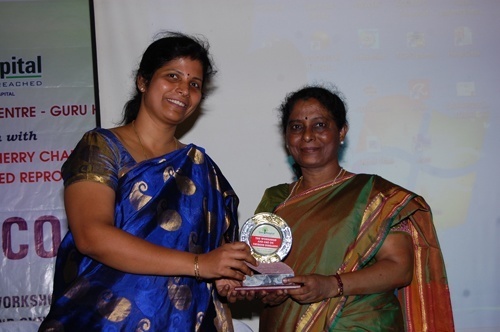 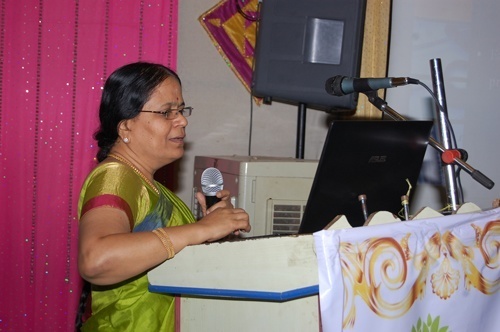 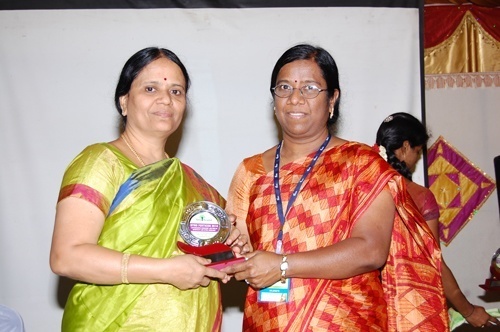 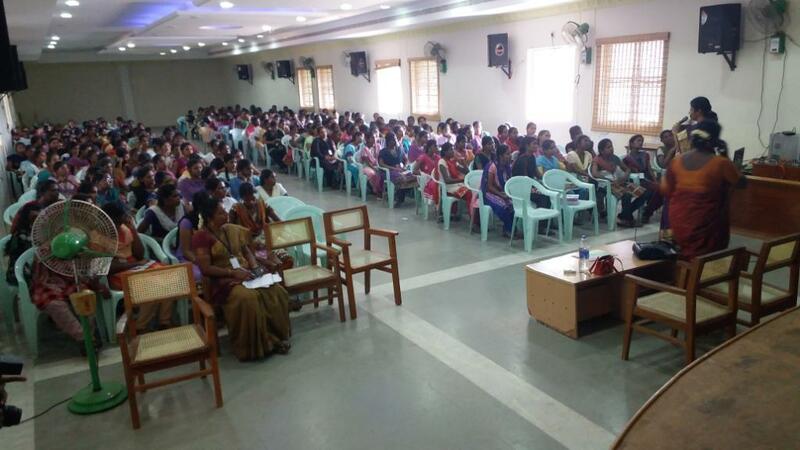 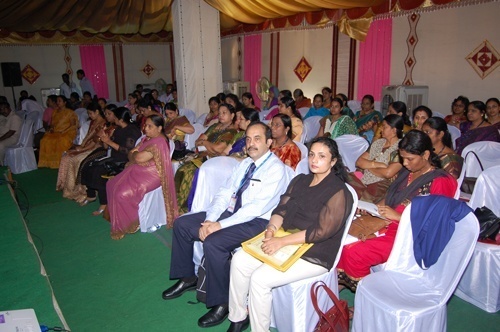 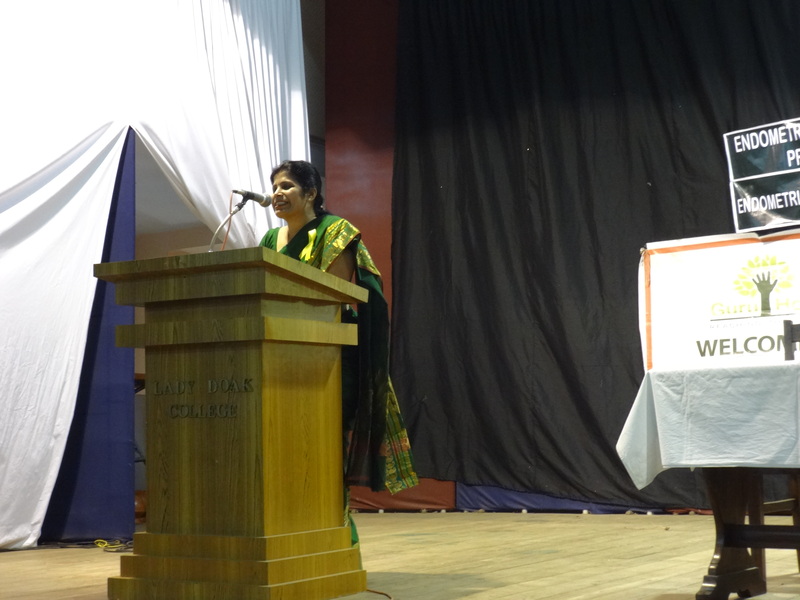 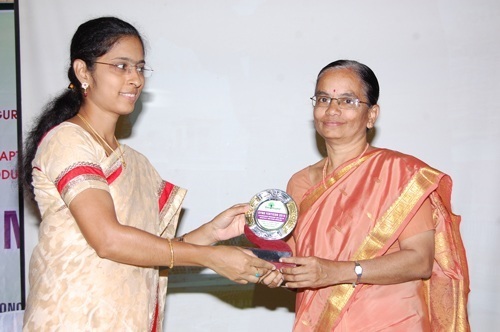 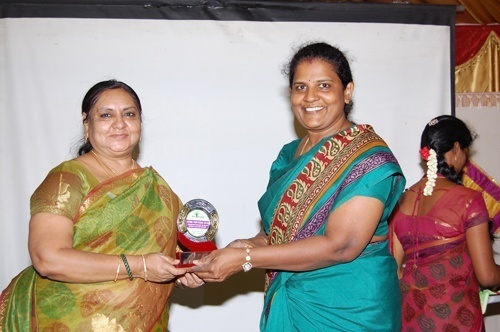 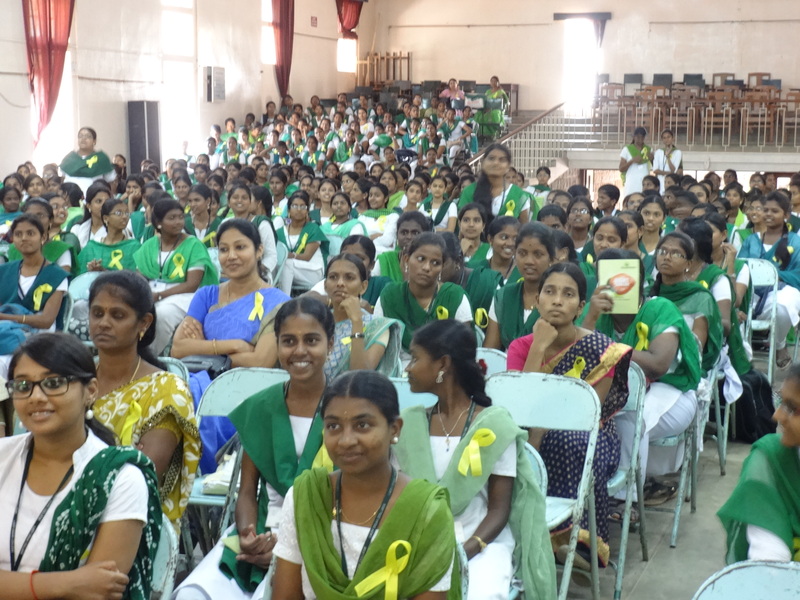 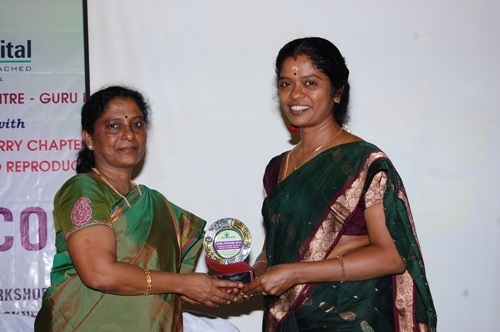 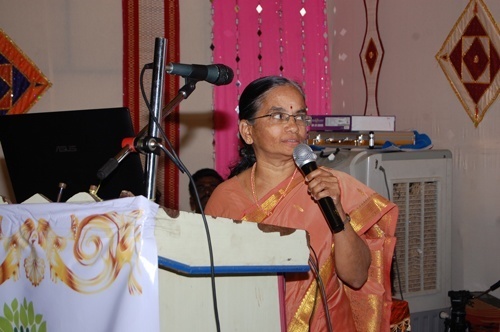 Endometriosis awareness program by Dr.B.Kalpana at Yadava Women's college, Madurai. 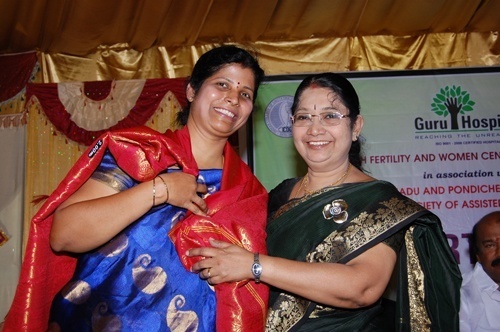 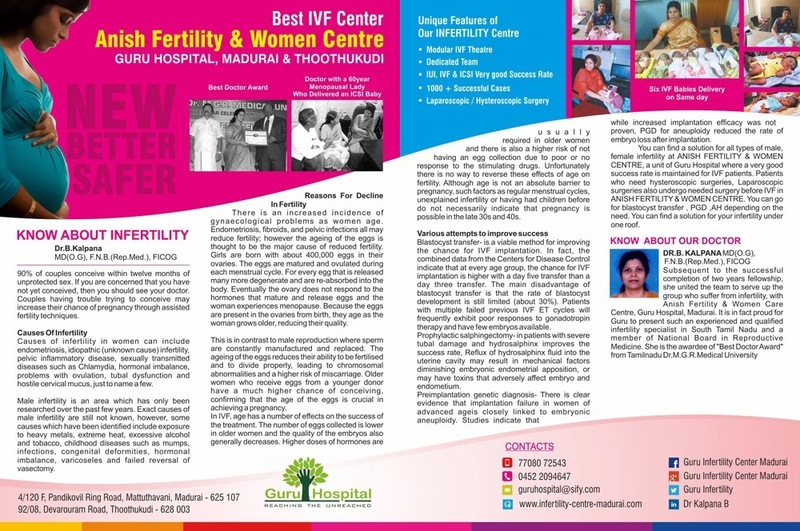 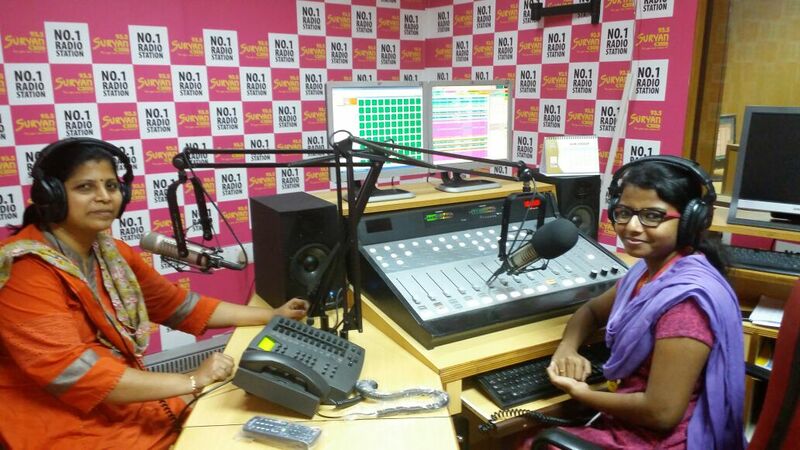 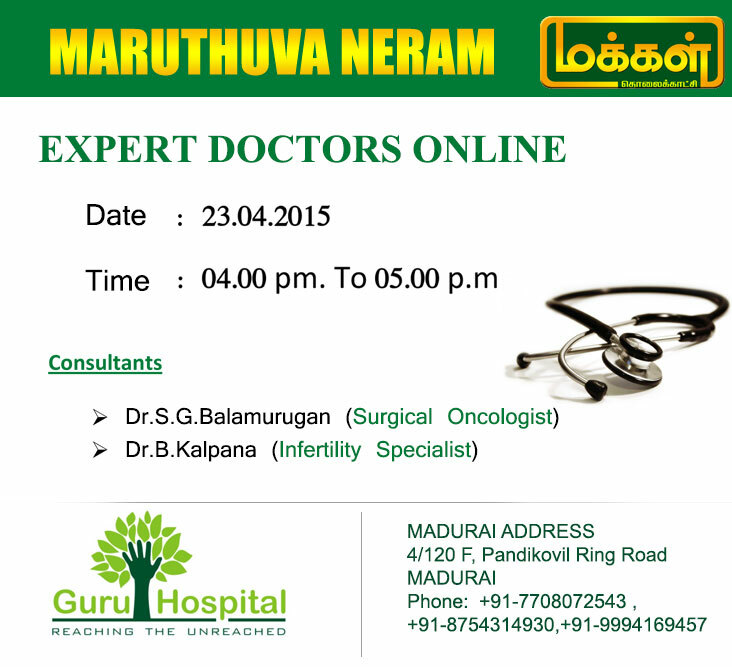 Live Interview on infertility with Dr.B.Kalpana at Suriyan F.M. 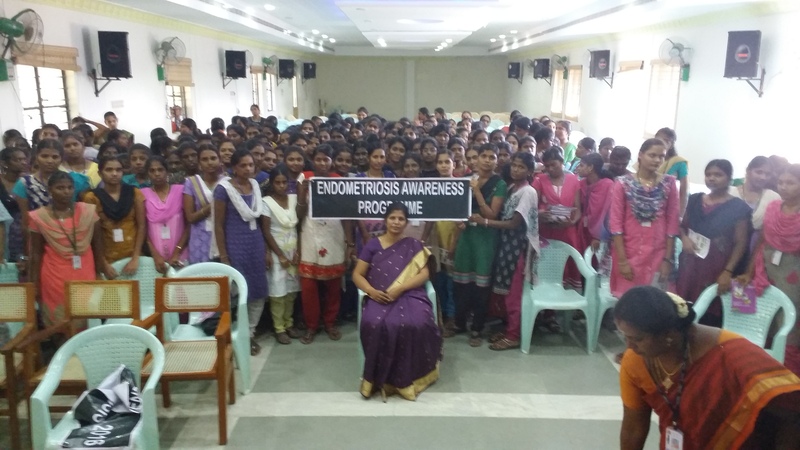 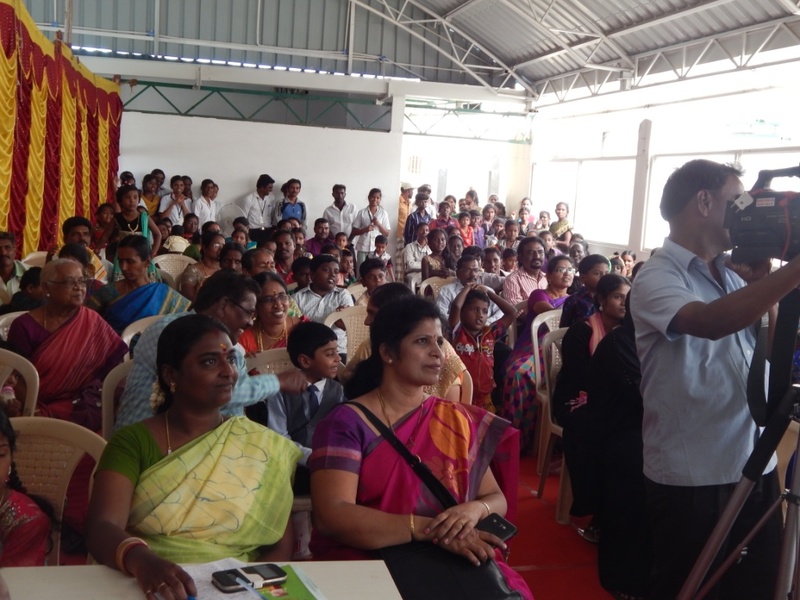 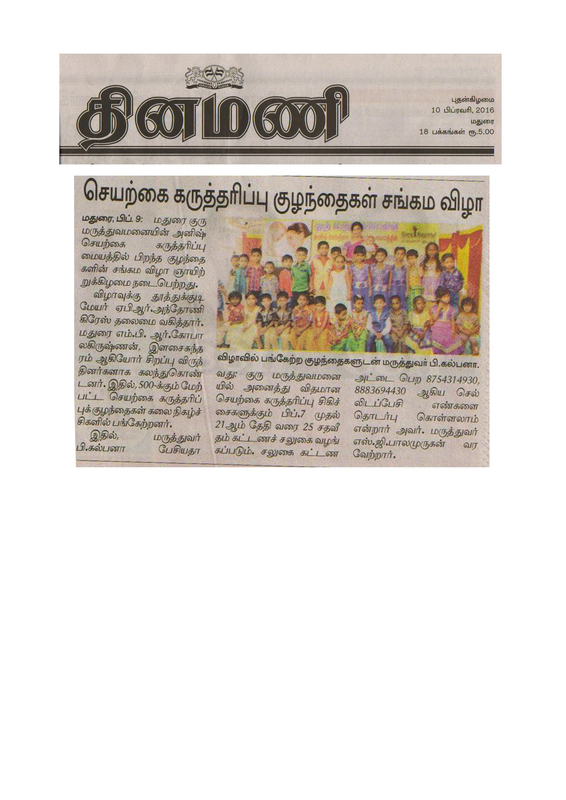 Endometriosis Awareness Program held at Lady Doak College, Madurai on 13.02.2016. 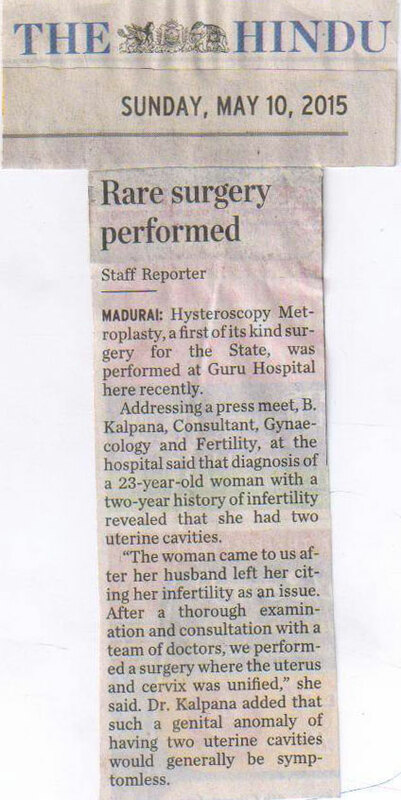 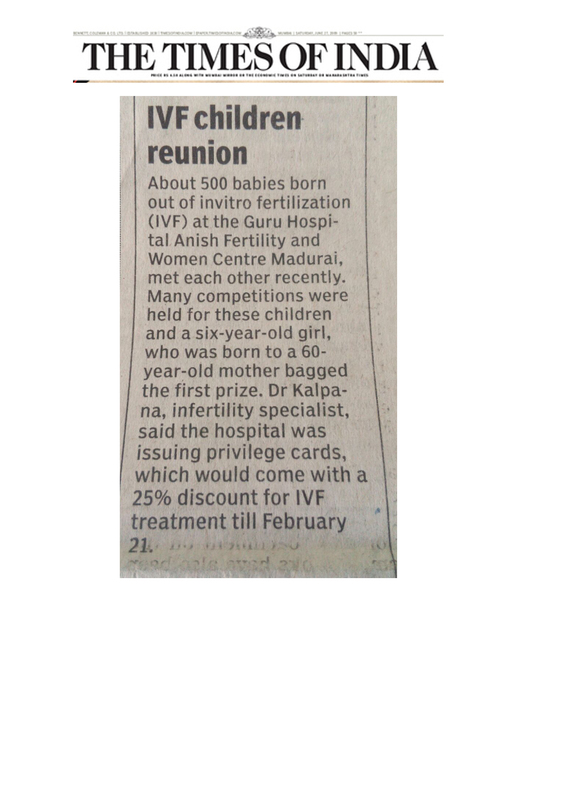 Newspaper Reports Of IVF Babies Reunion Held on Guru Infertility Center. 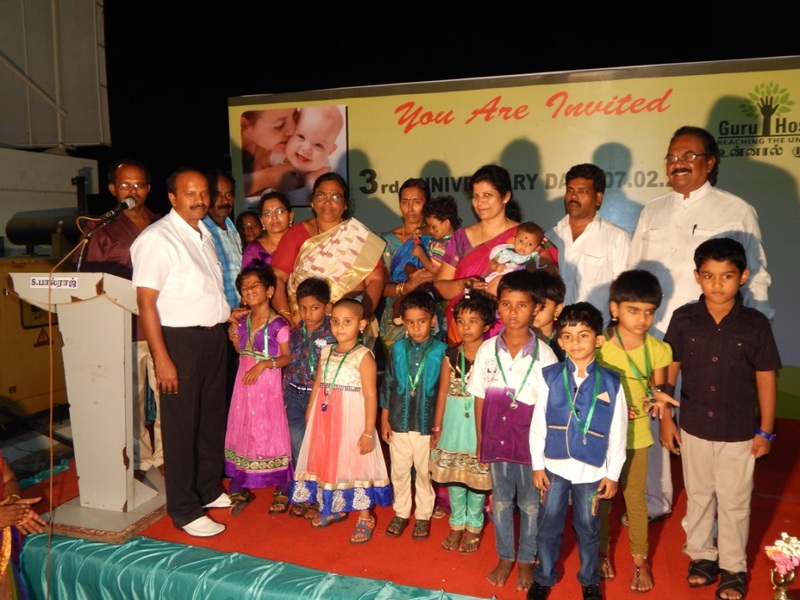 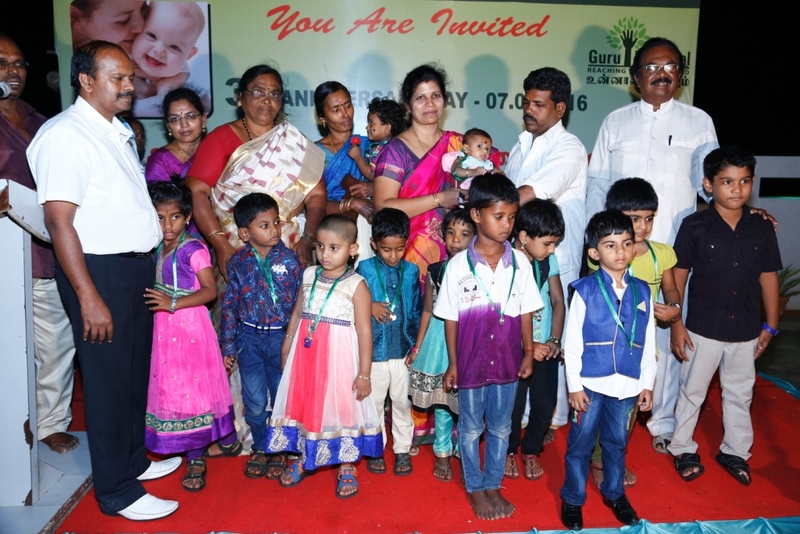 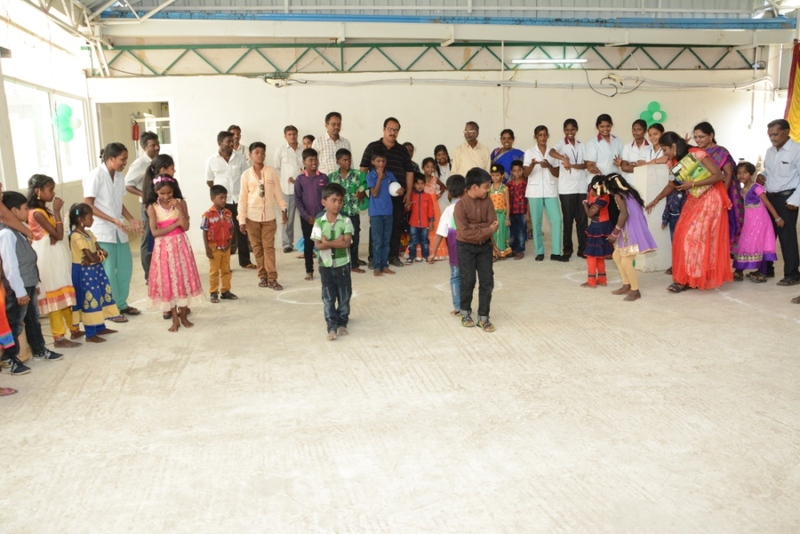 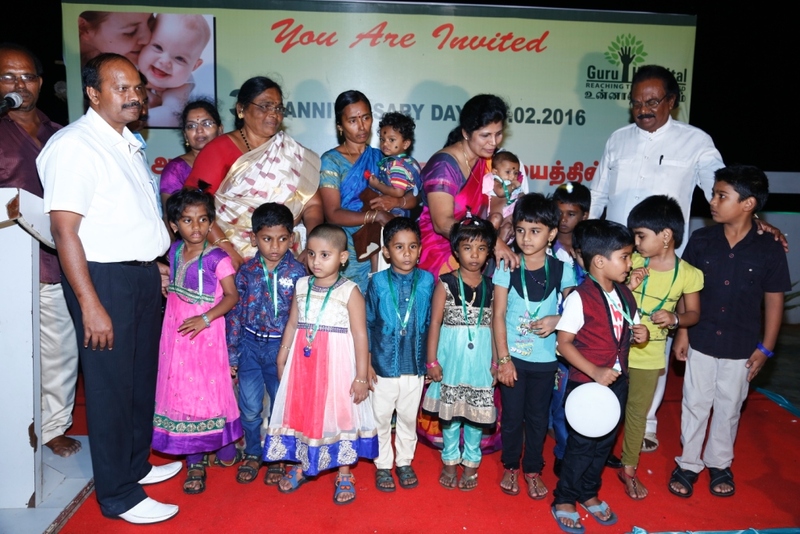 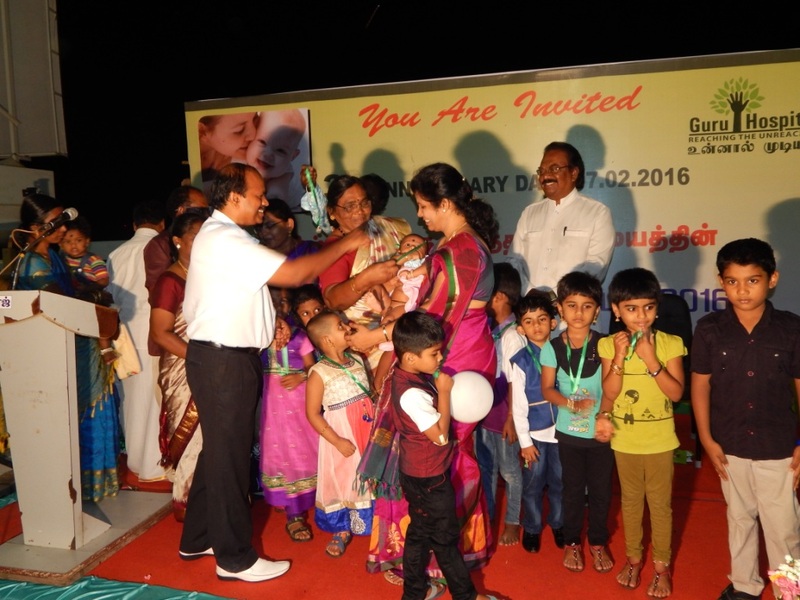 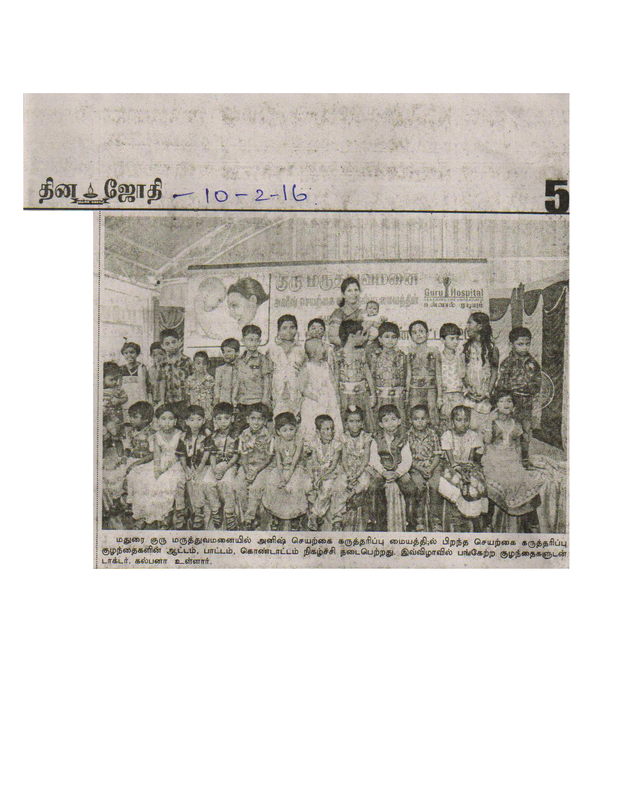 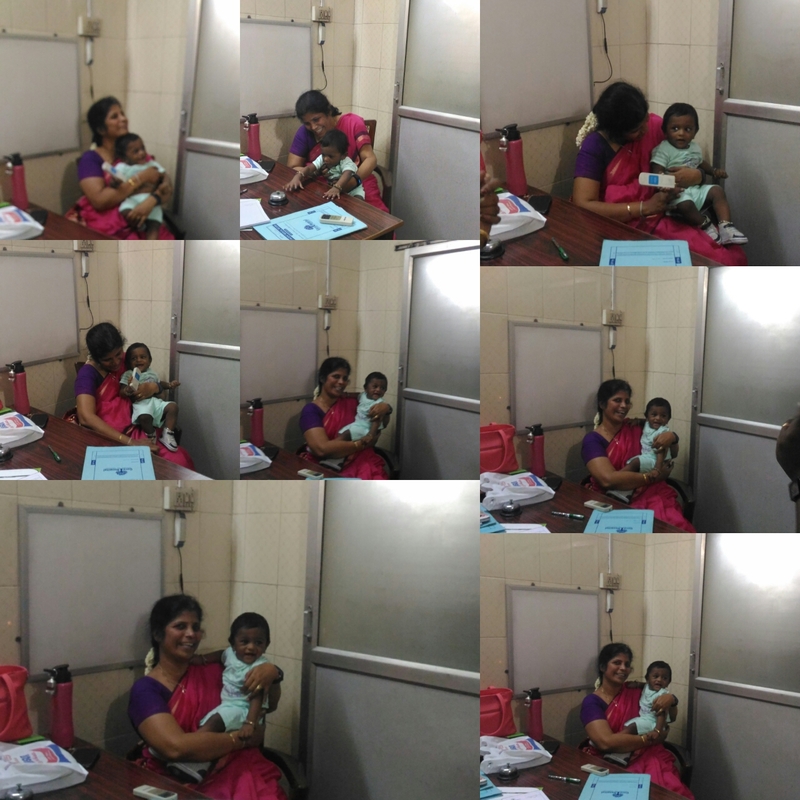 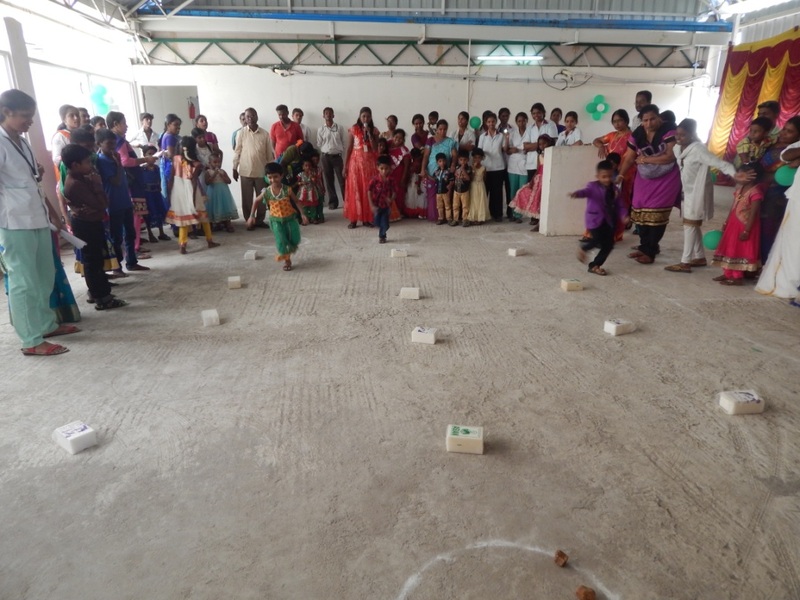 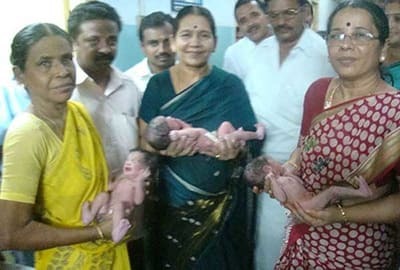 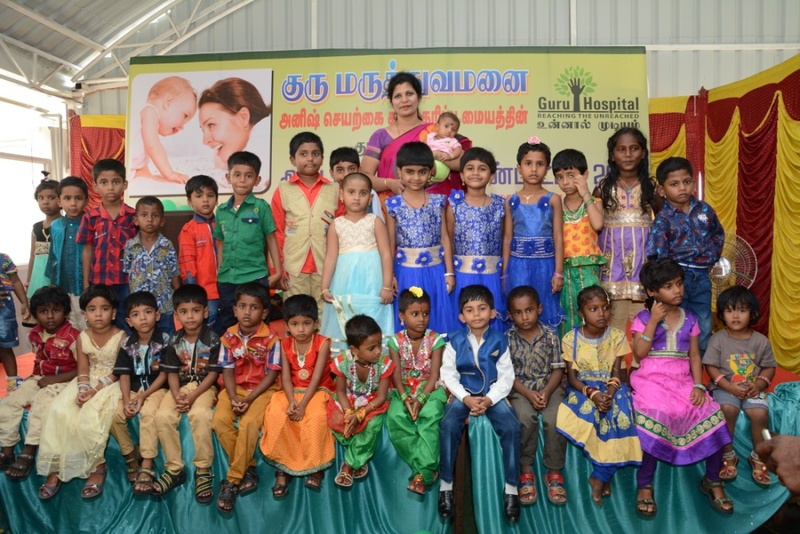 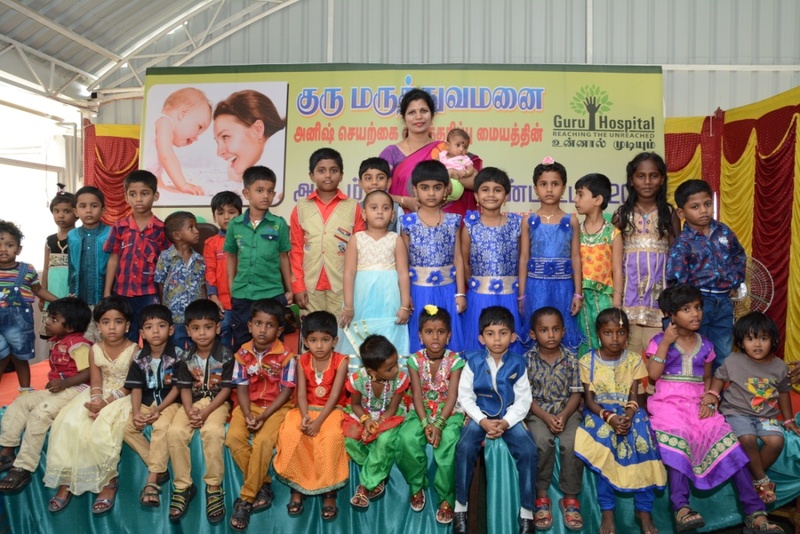 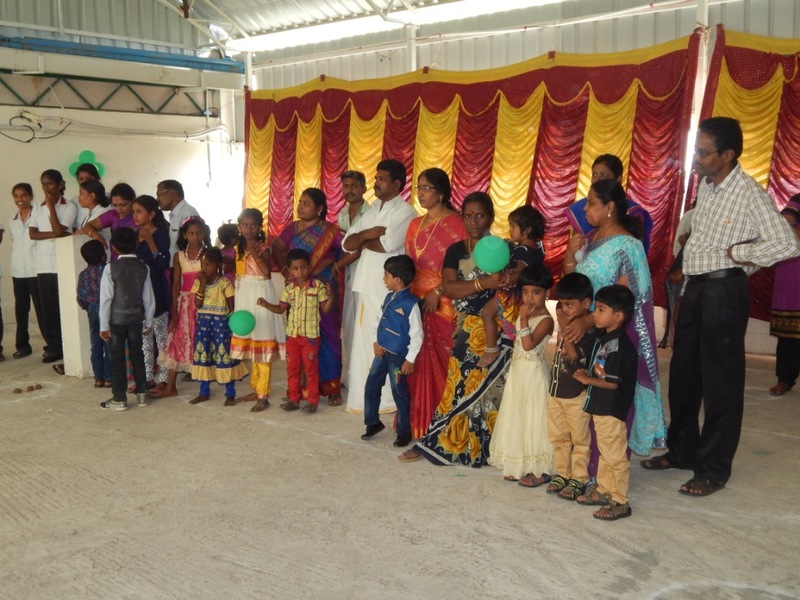 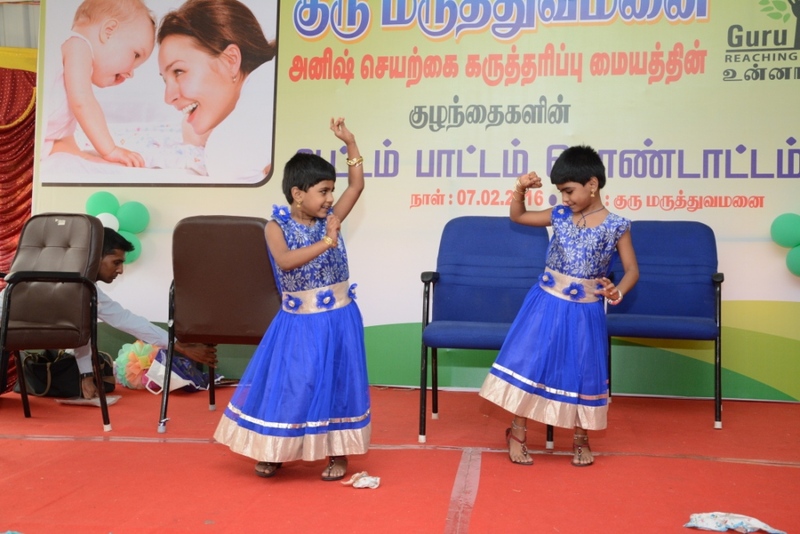 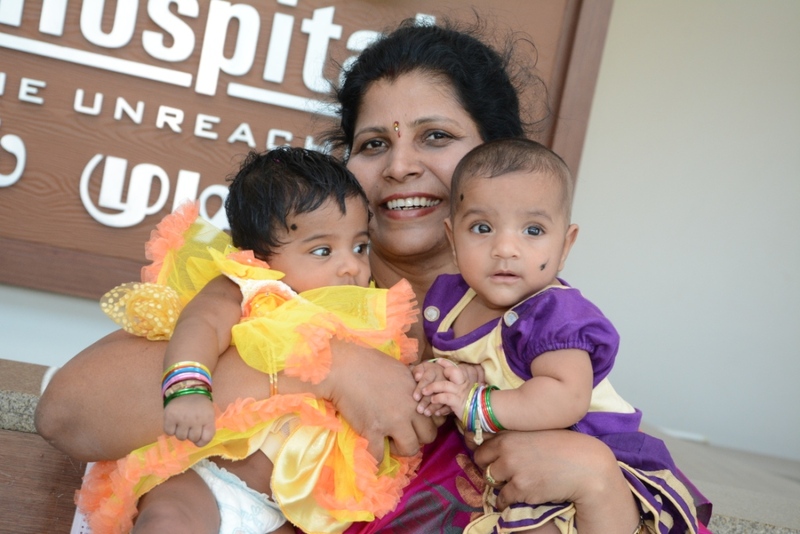 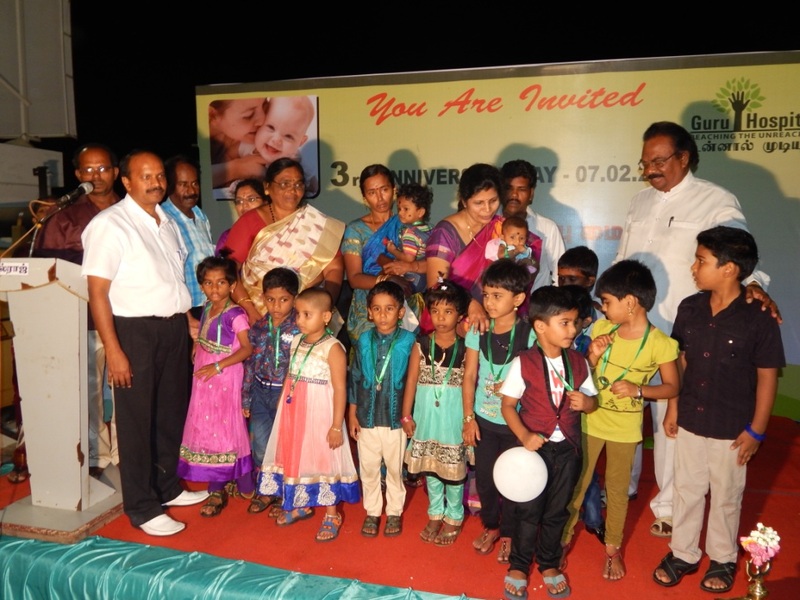 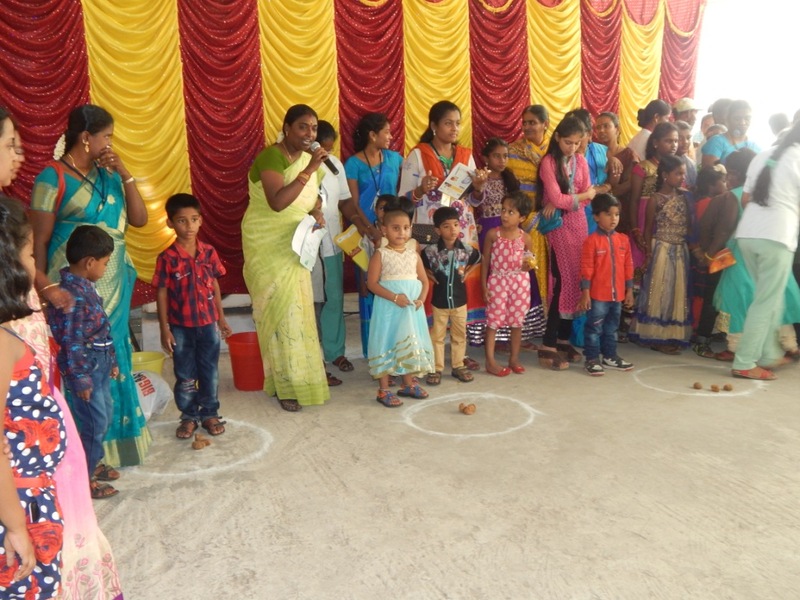 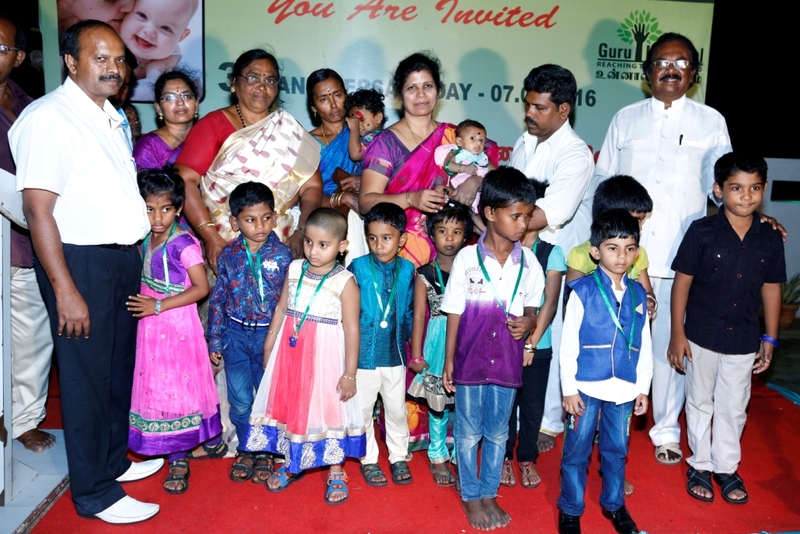 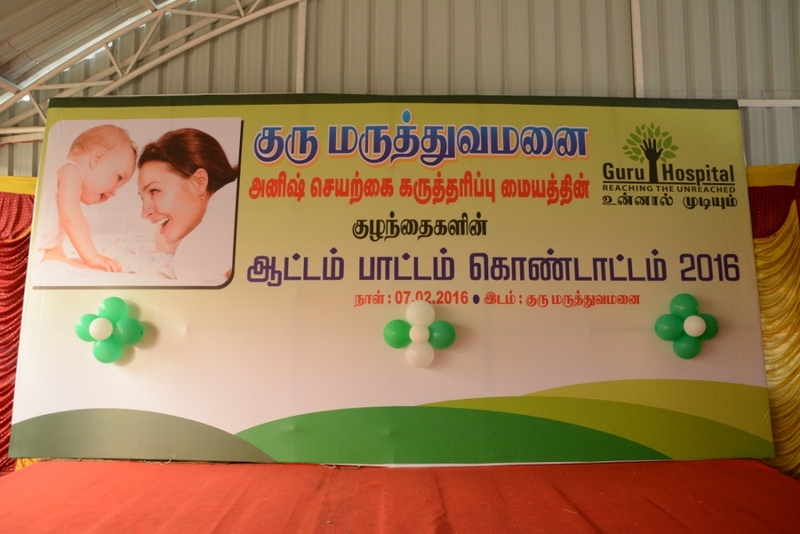 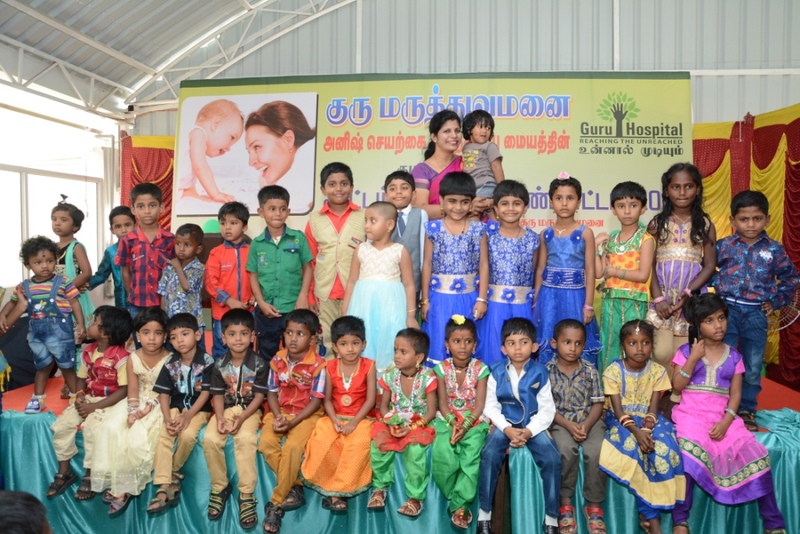 Photos of IVF Babies Reunion - 2016 IVF Babies Reunion 2016 held on 7.Feb.2016 at Guru Hospital Anish Fertility and Women Centre, Madurai. 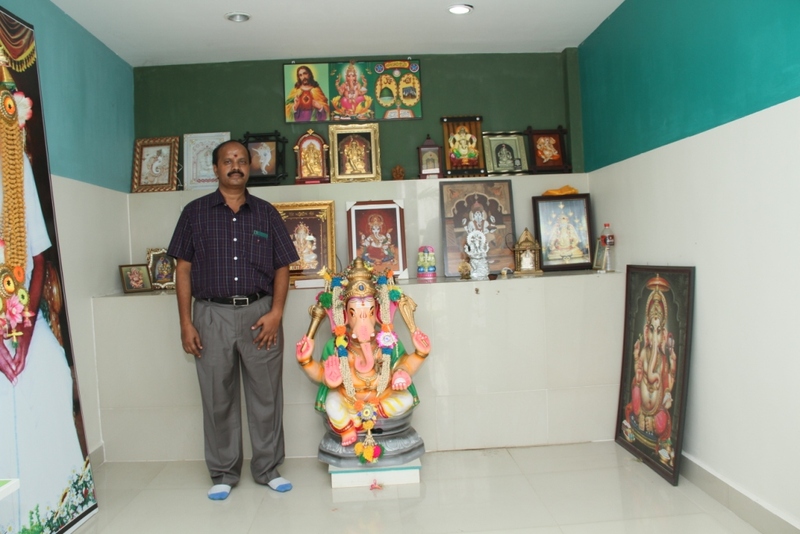 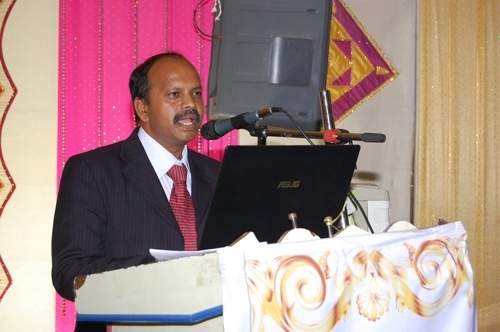 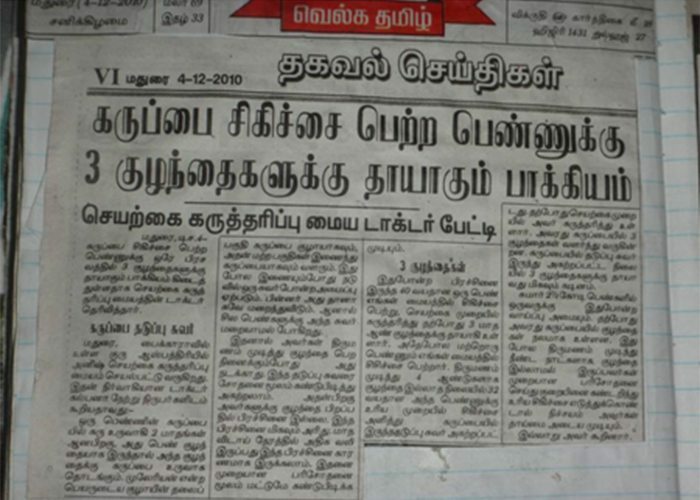 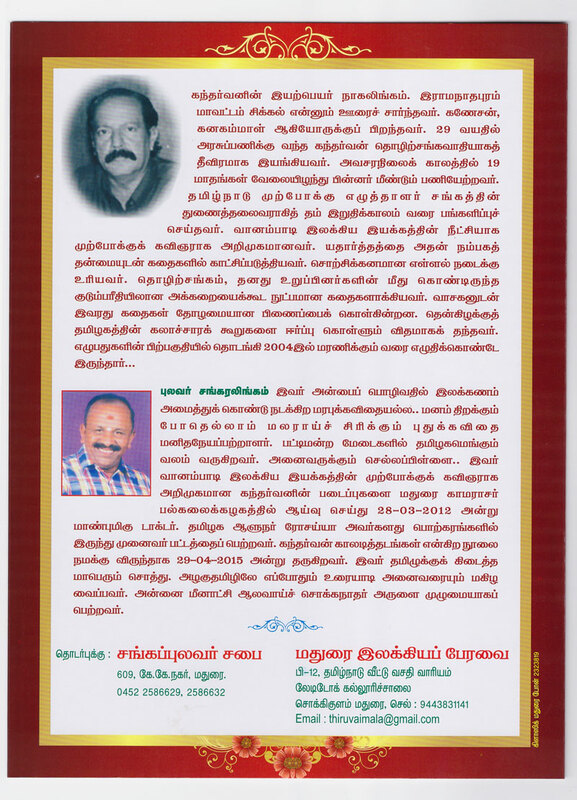 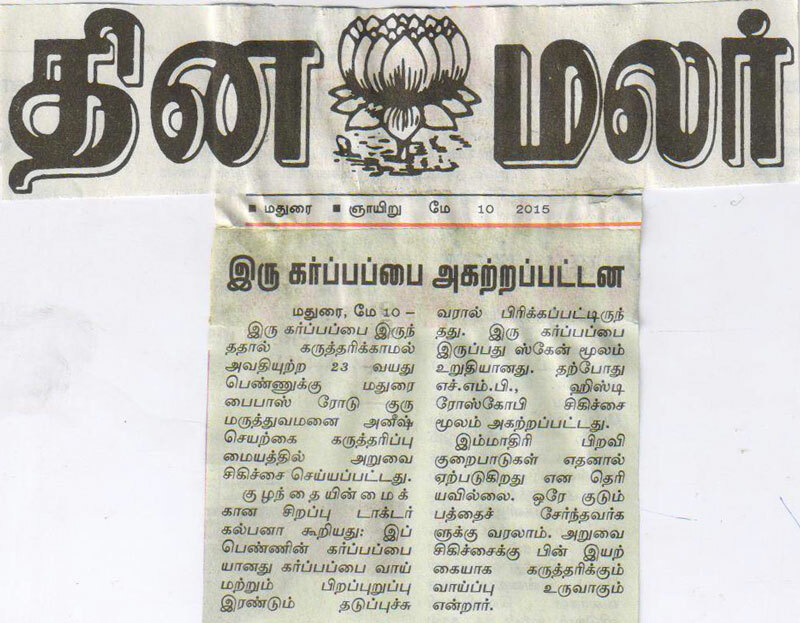 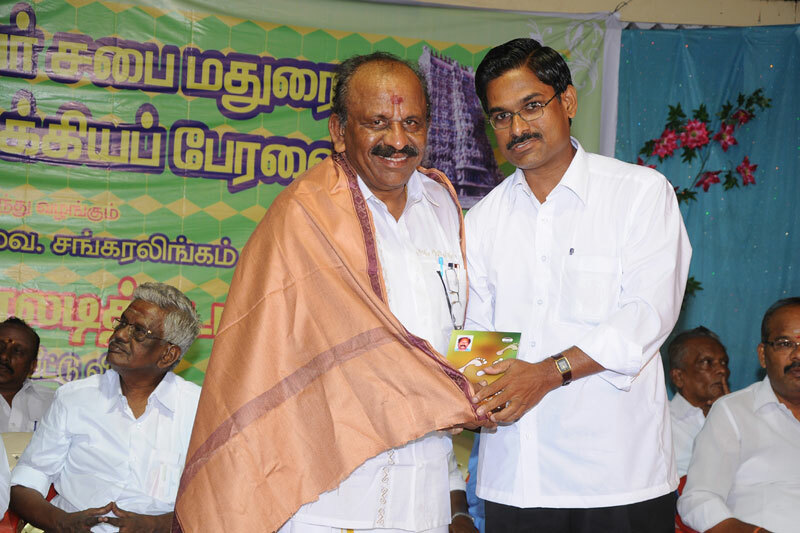 Honorable Tuticorin Mayor A.P.R. 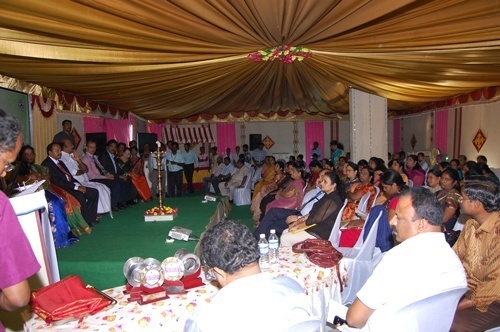 Antony Grace presided over the function. 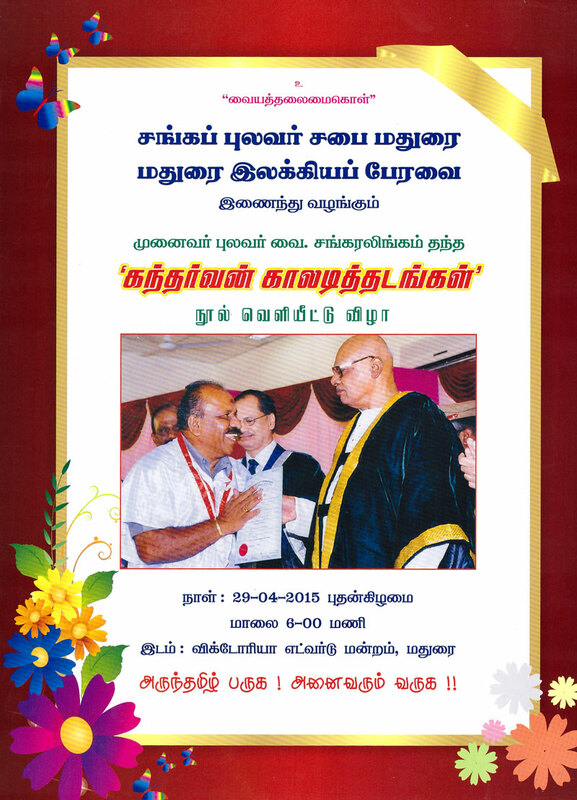 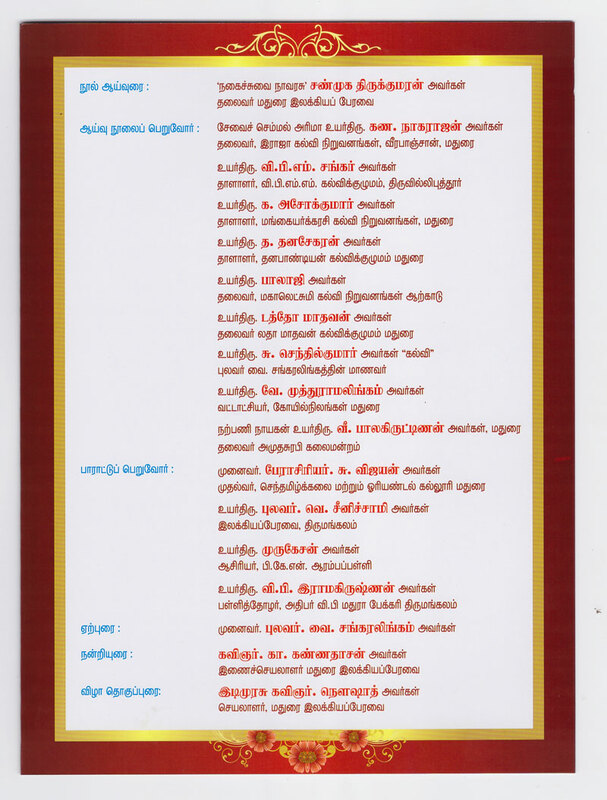 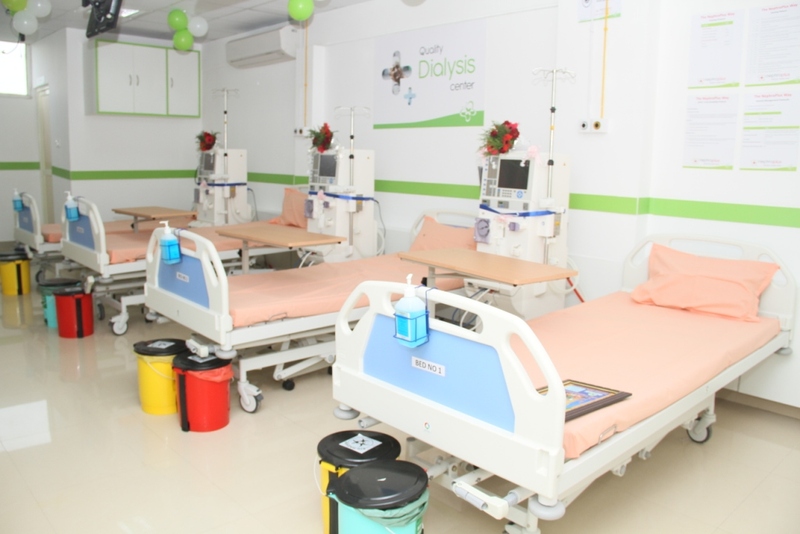 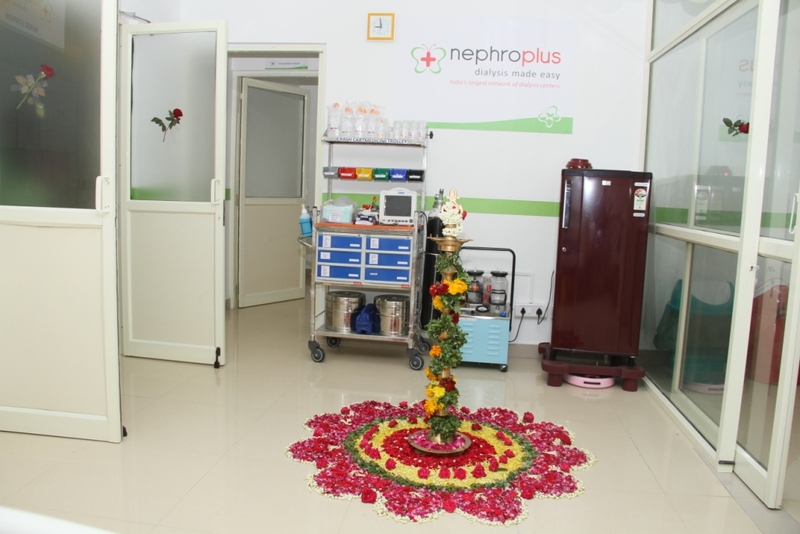 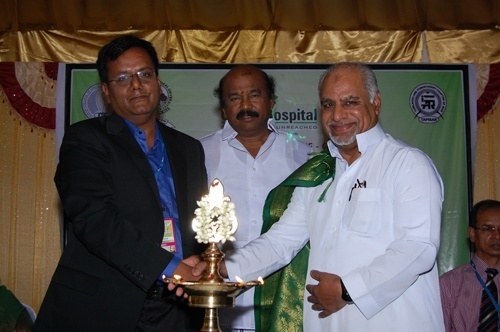 "Guru Hospital Madurai and Nephroplus (Indias largest dialysis network provider) started the dept of Nephrology With eight bed- Dialysis unit at Guru hospital Madurai"
Dr.S.G.Balamurugan has been invited as the chief guest for the publication function of Dr.V.Sankaralingam's book named 'Gandharva Kaladi thadangal" at Victoria Edward Hall Madurai on 29th April 2015. 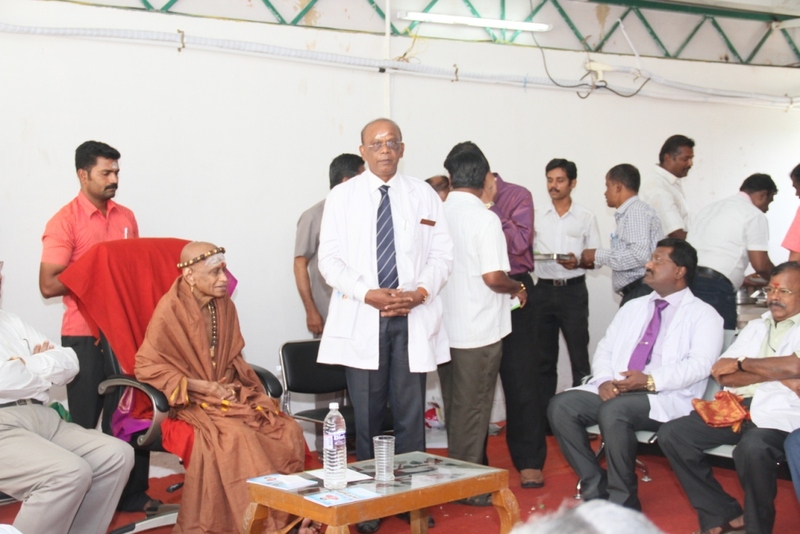 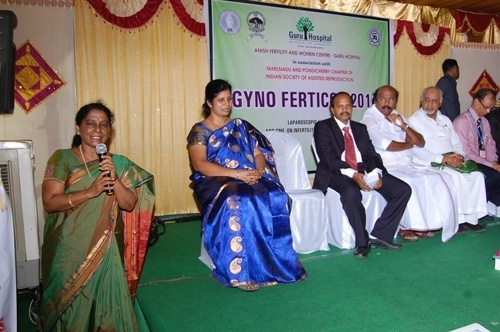 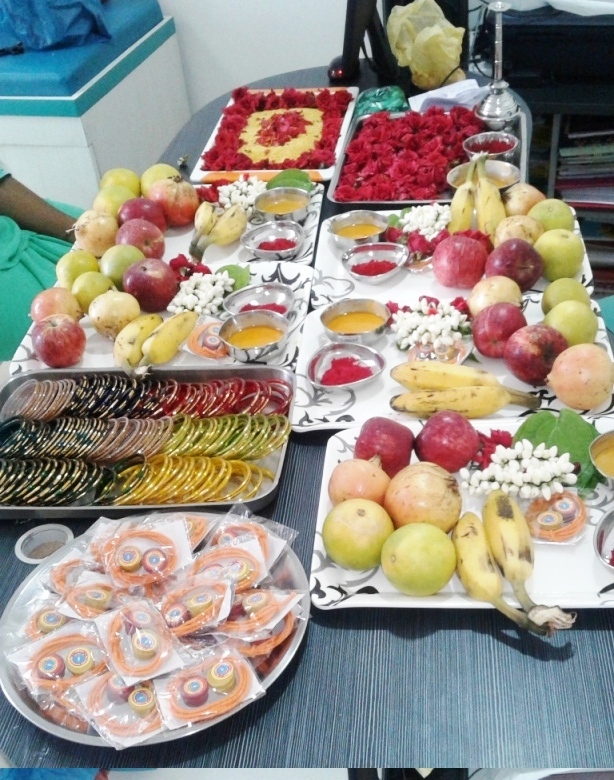 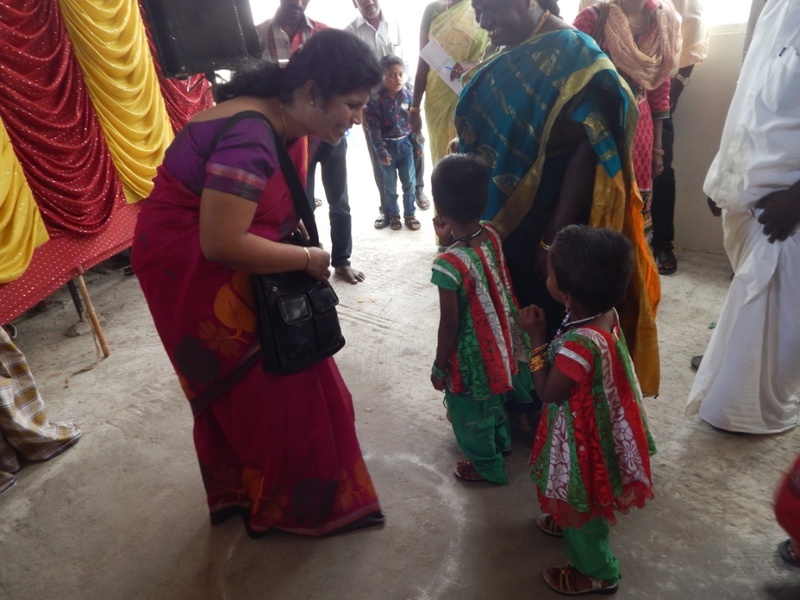 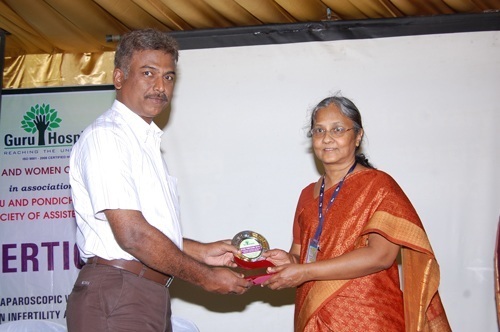 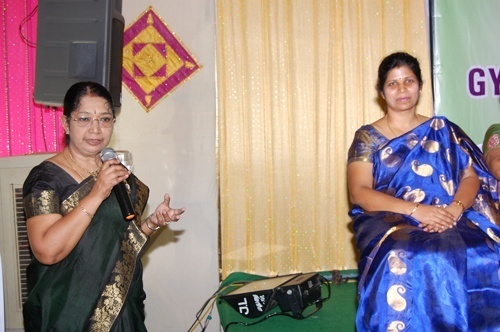 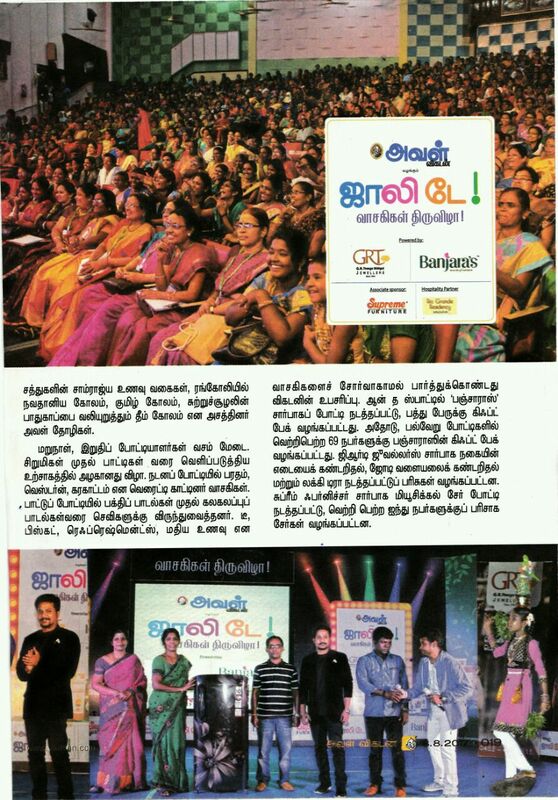 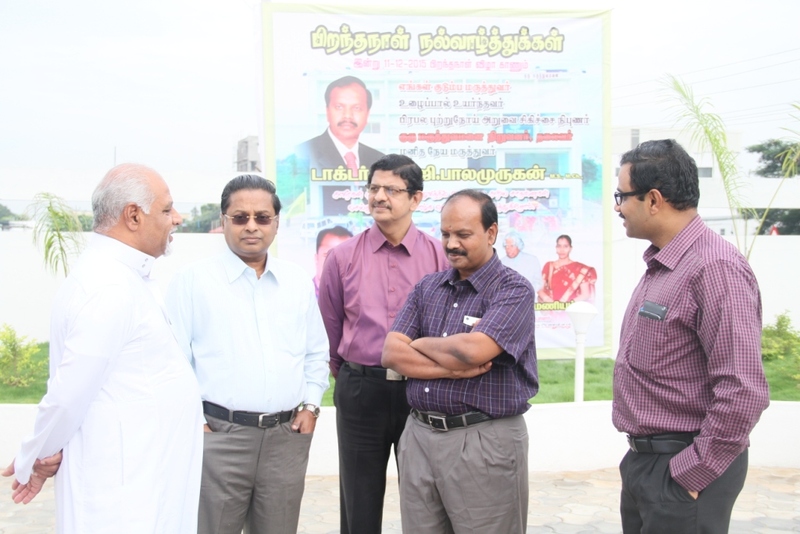 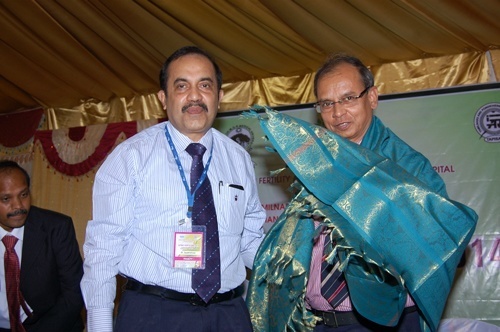 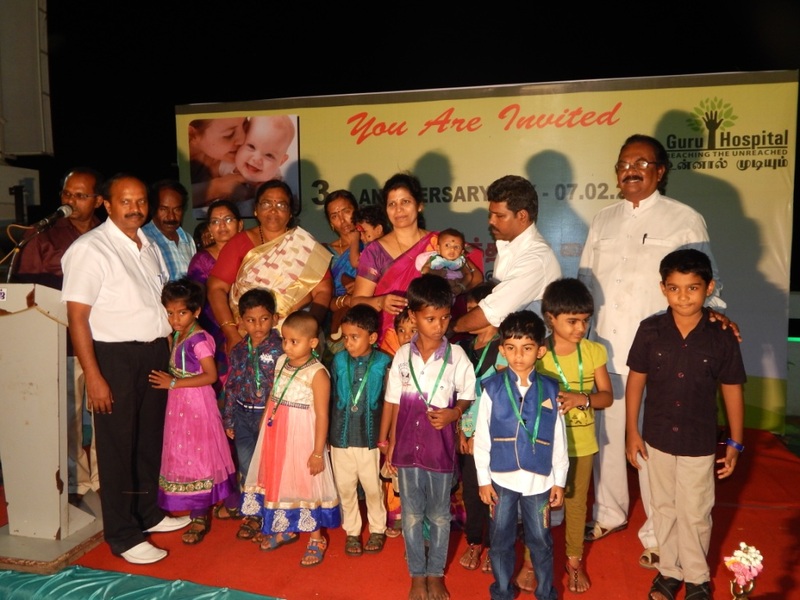 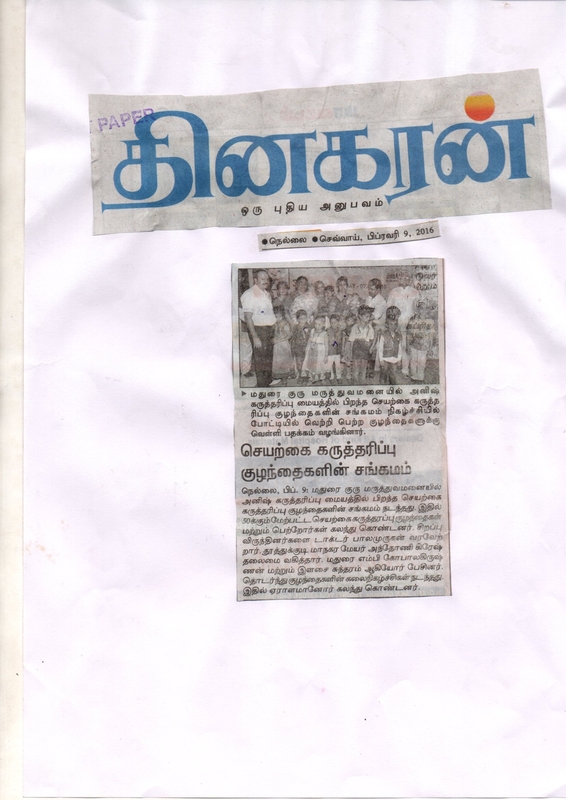 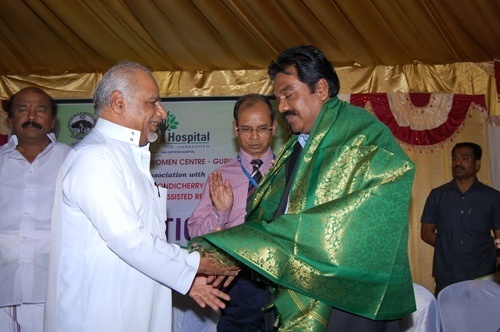 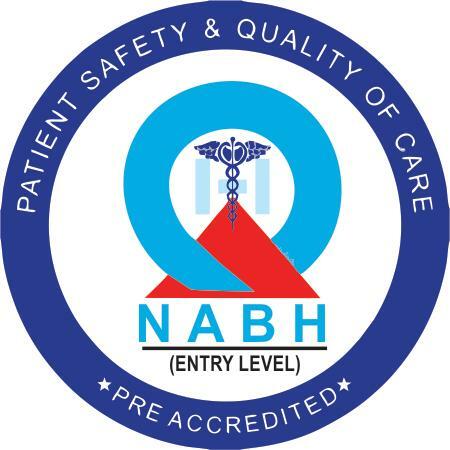 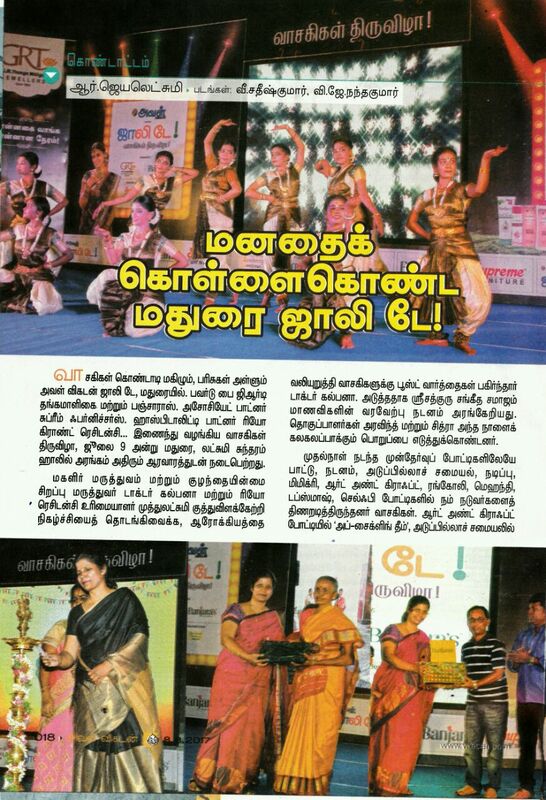 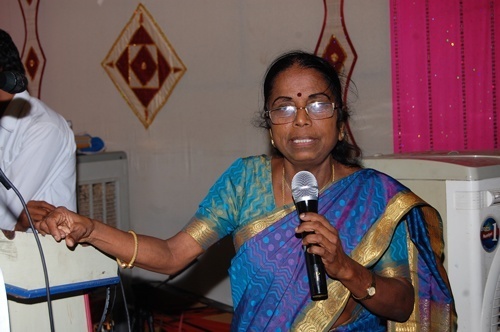 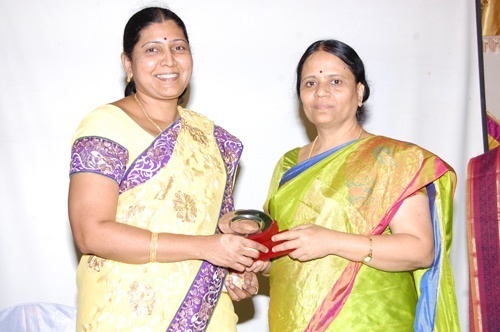 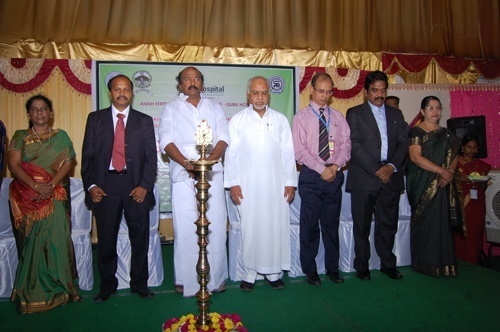 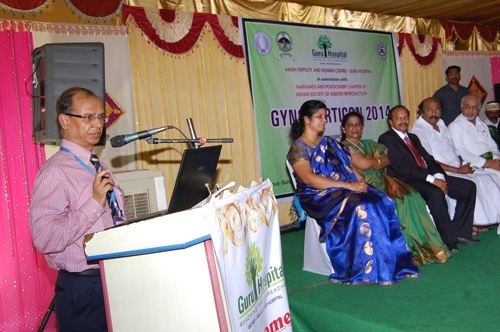 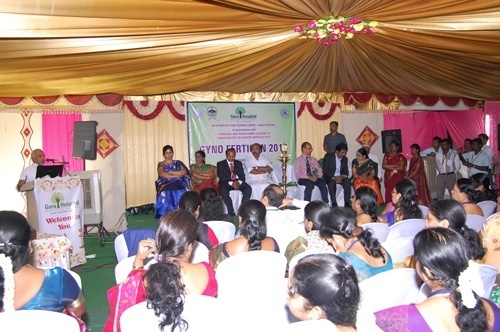 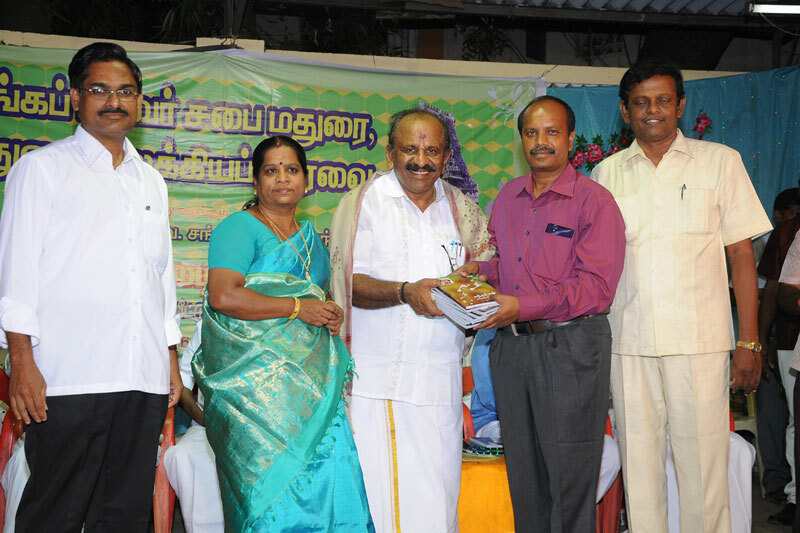 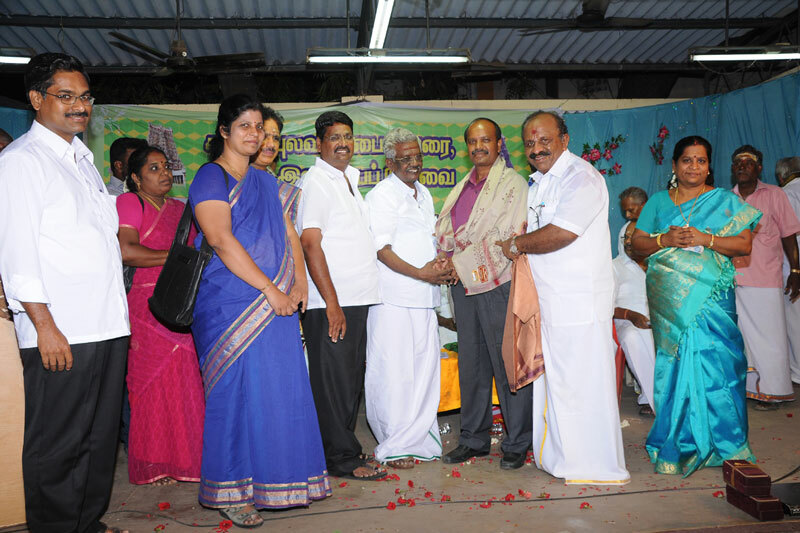 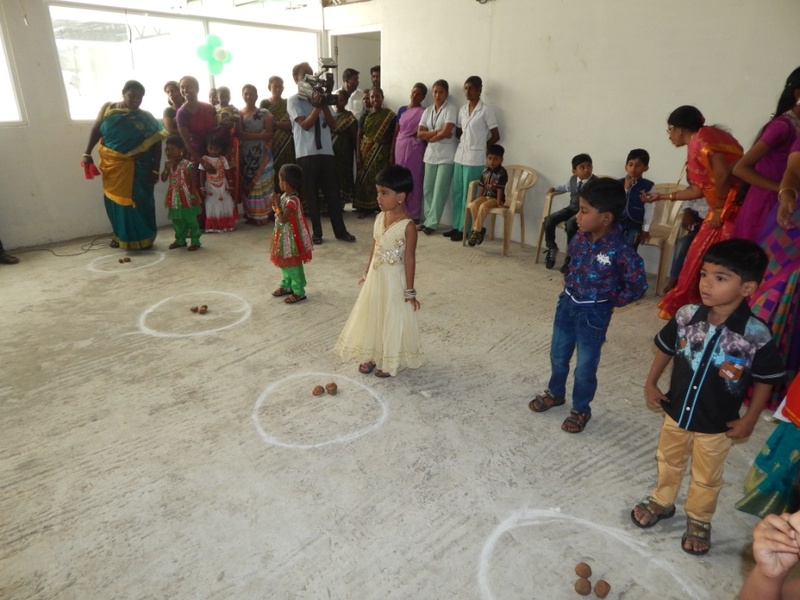 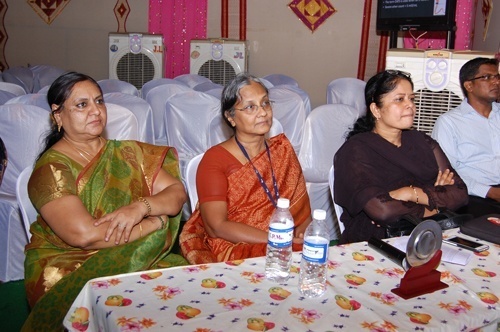 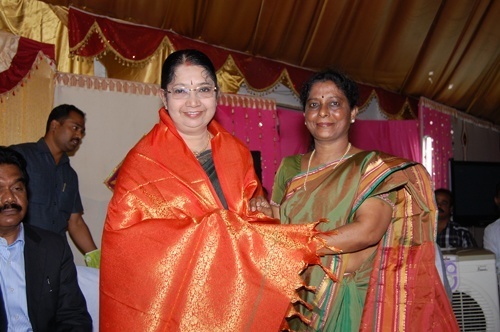 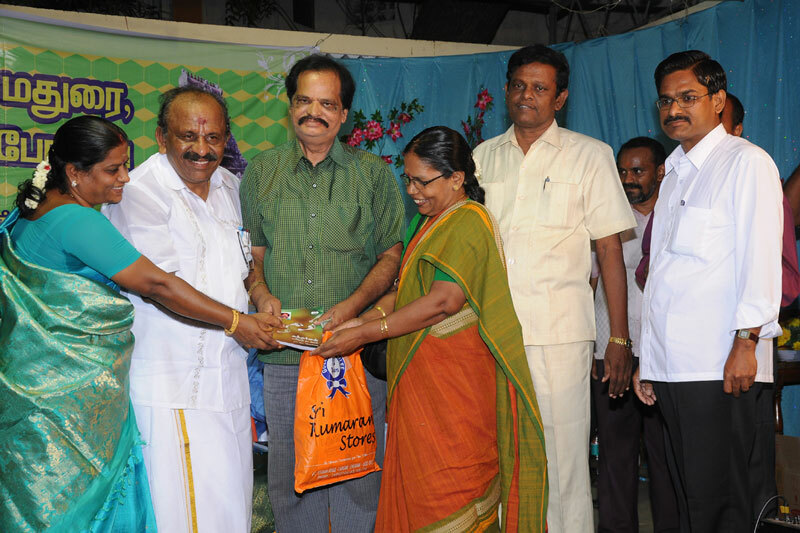 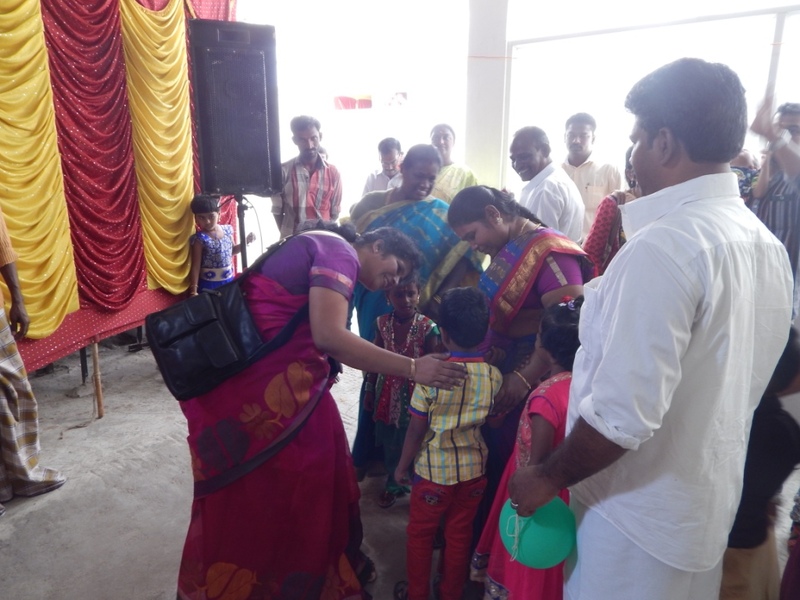 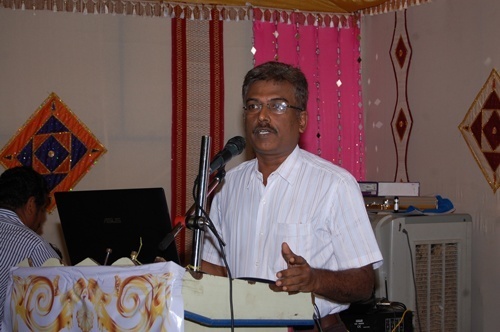 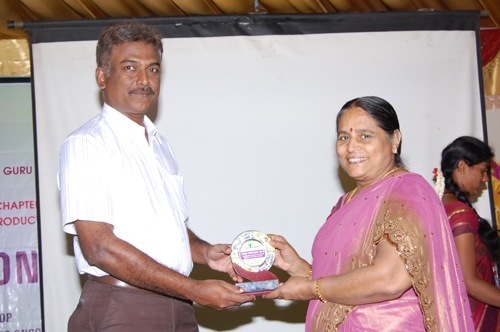 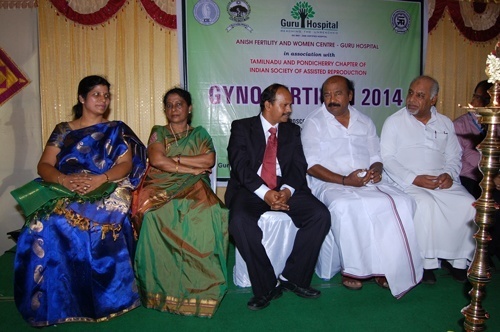 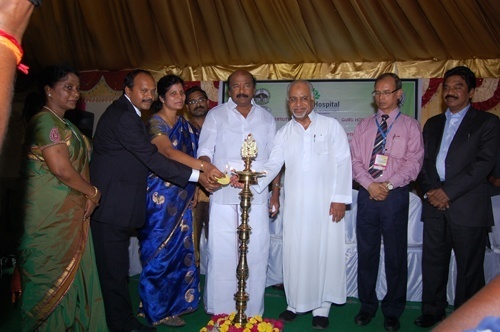 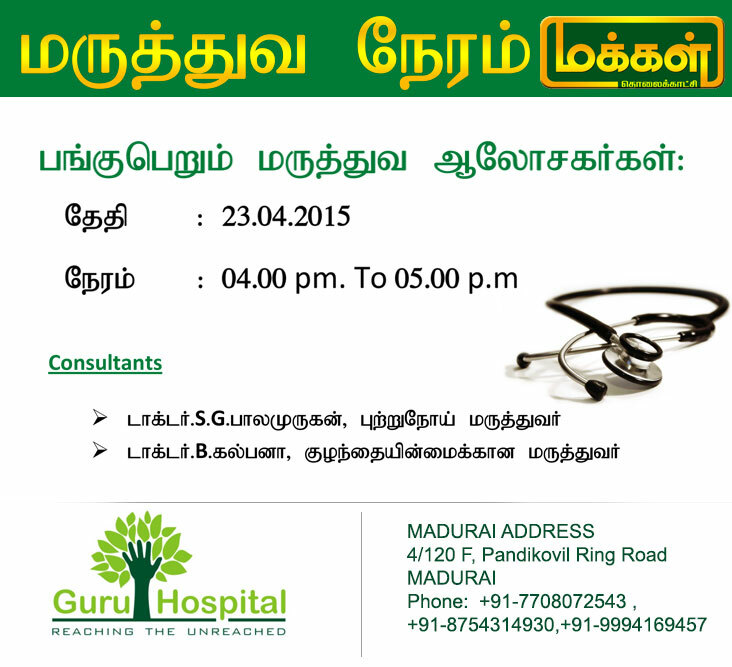 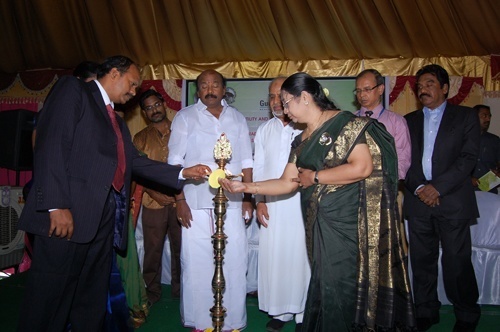 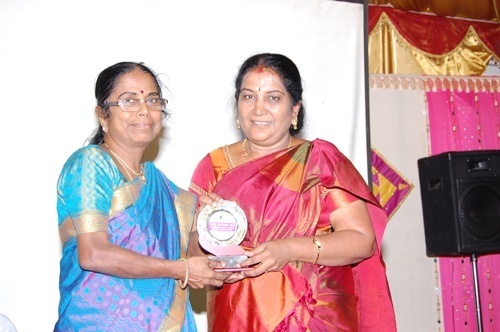 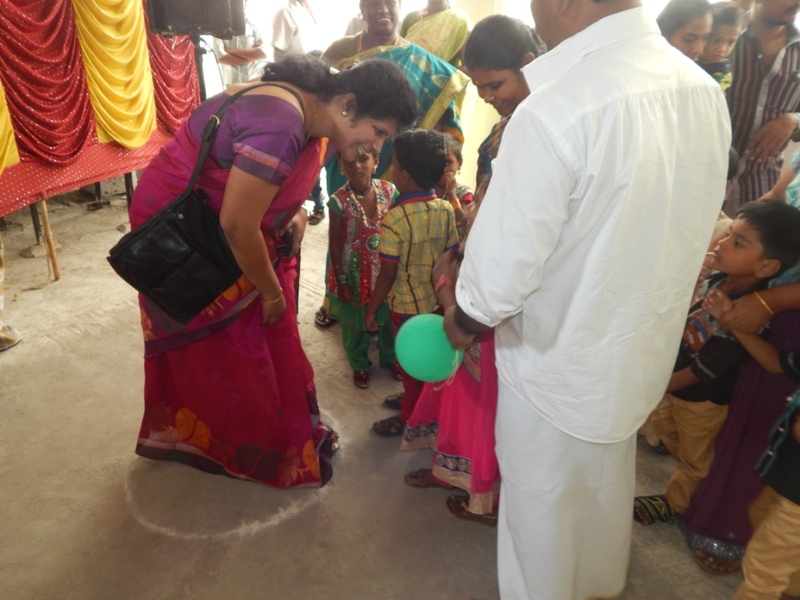 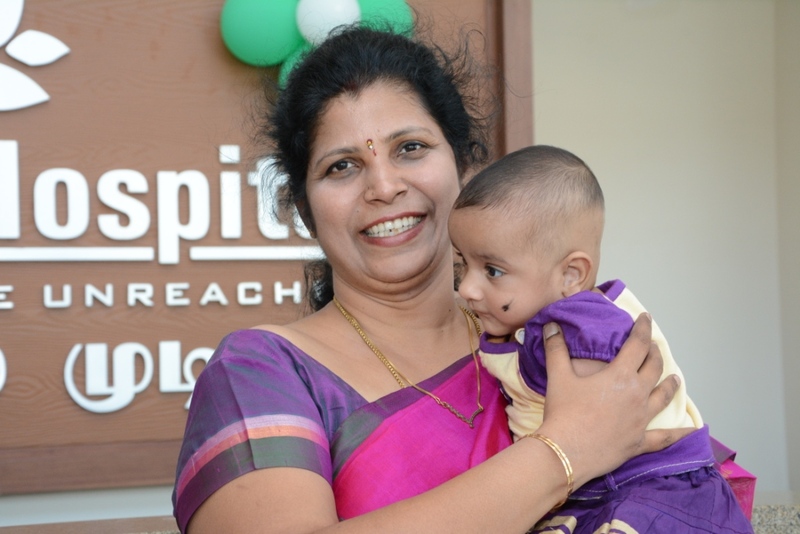 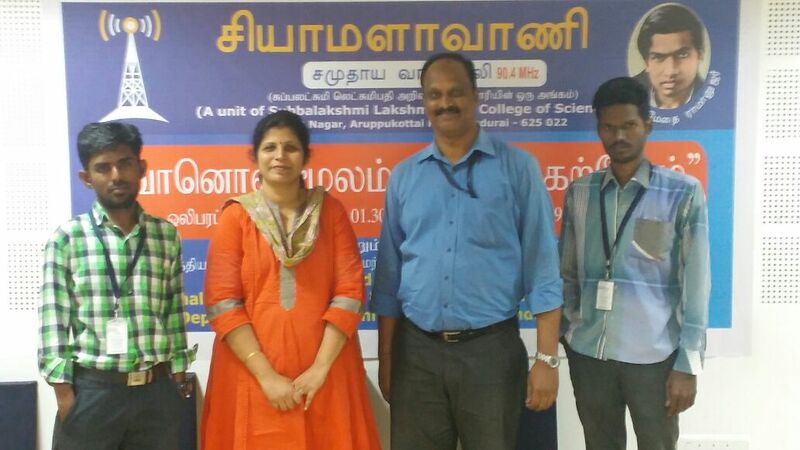 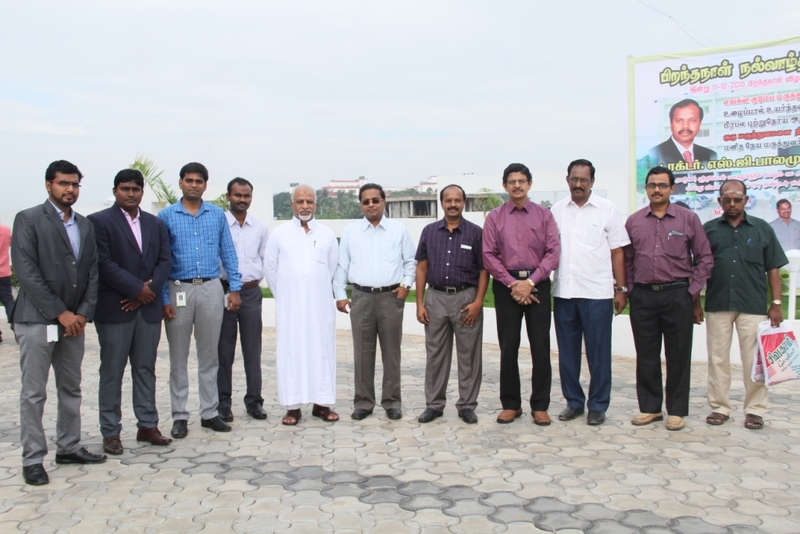 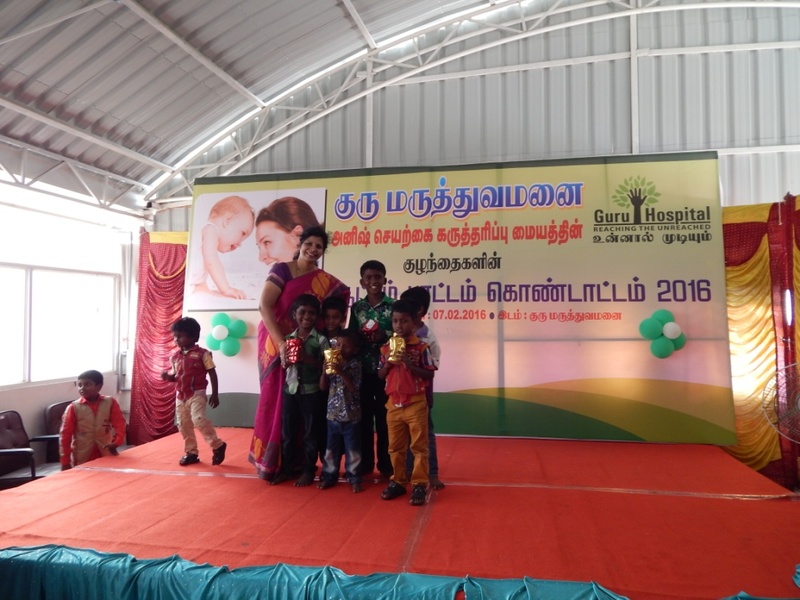 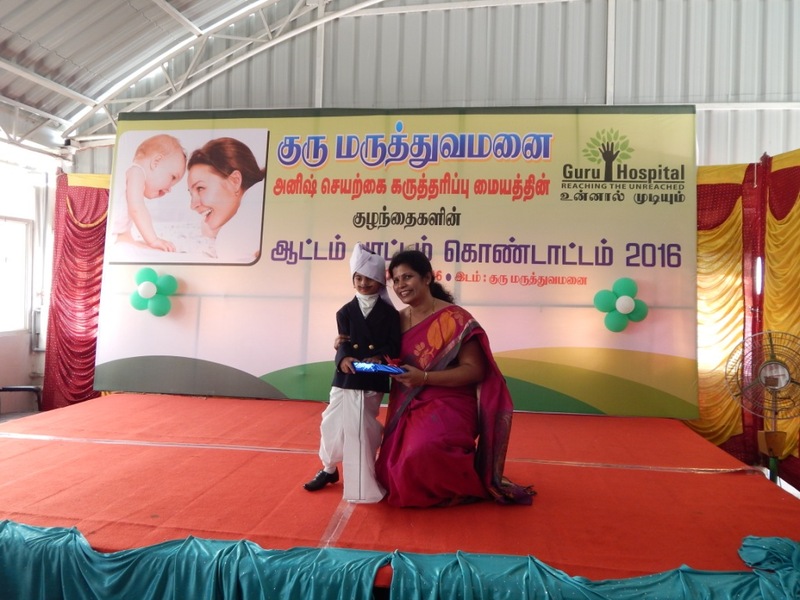 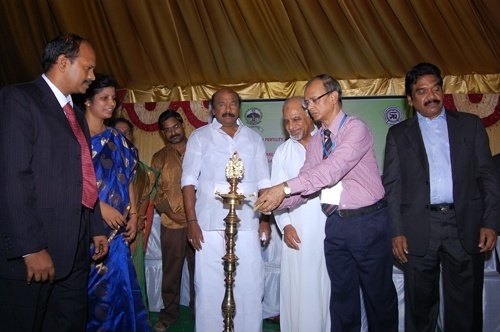 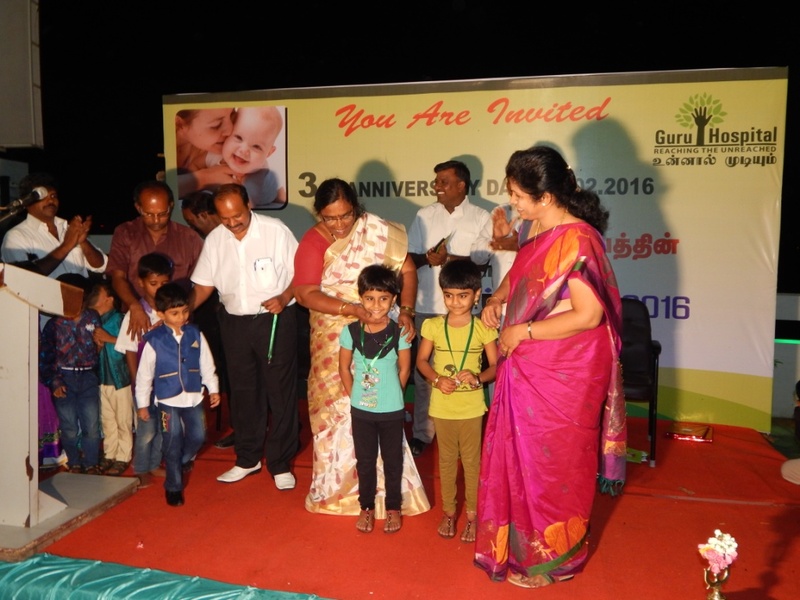 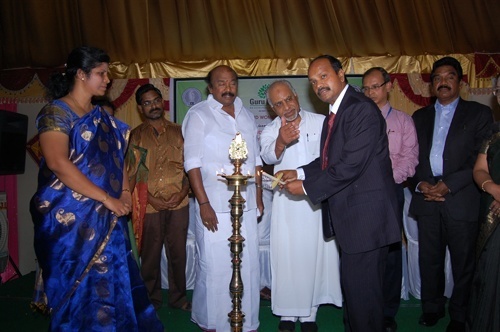 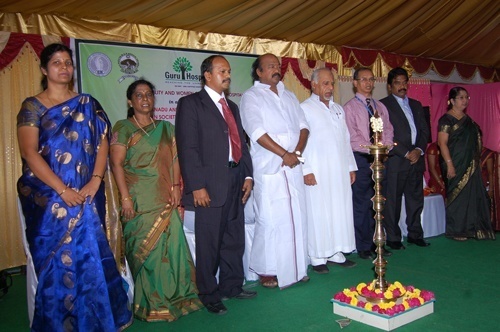 Our benevolent Doctors Dr.S.G.Balamurugan and Dr.Kalpana Balamurugan were the honoured guests.